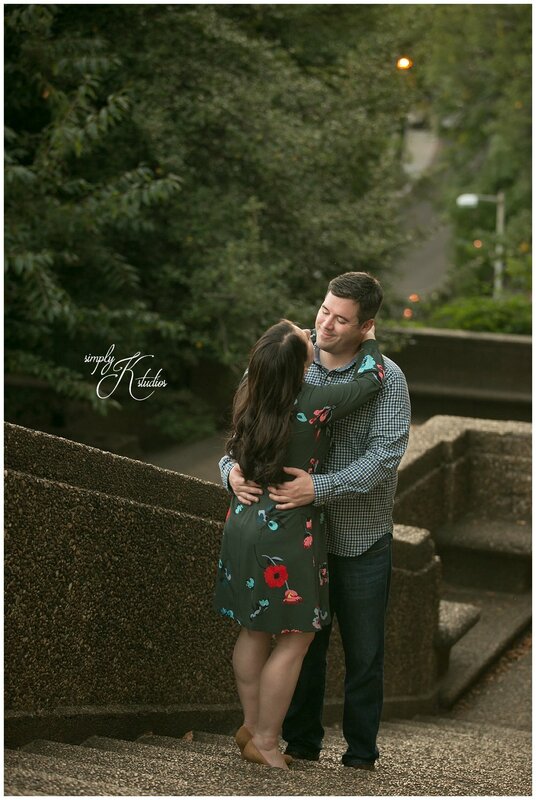 Paige and Billy suggested this spot to me when we were planning their engagement session and I couldn’t have been happier with it! 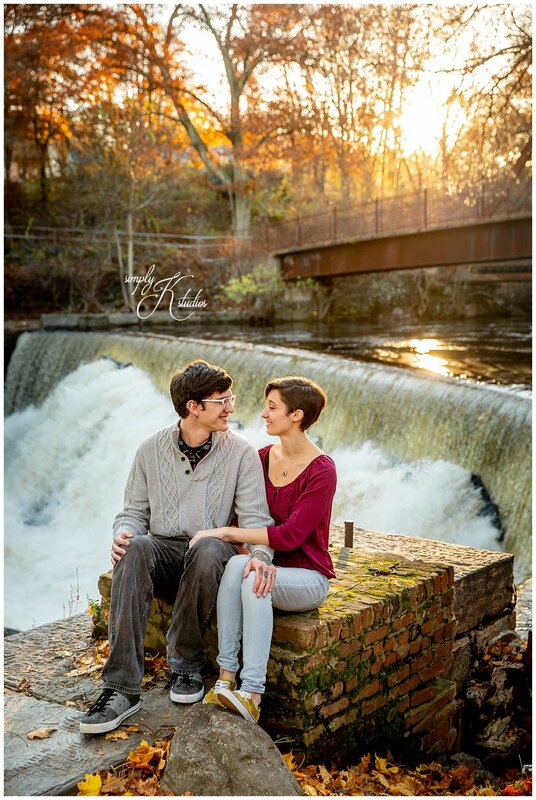 The waterfall backdrop was beautiful and this year’s late foliage was perfectly timed for their session. 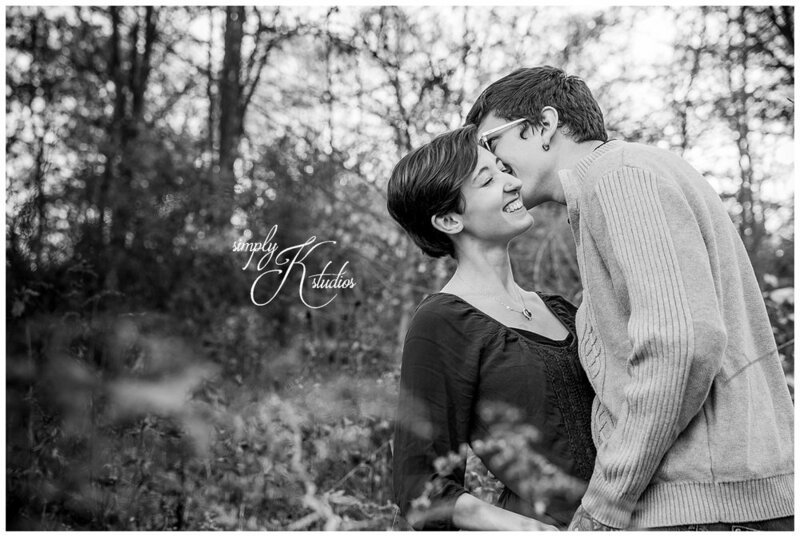 Ahhhhhh, I am so seriously excited for these two! When Guarav first contacted me, I had no idea that this session would end like it did. 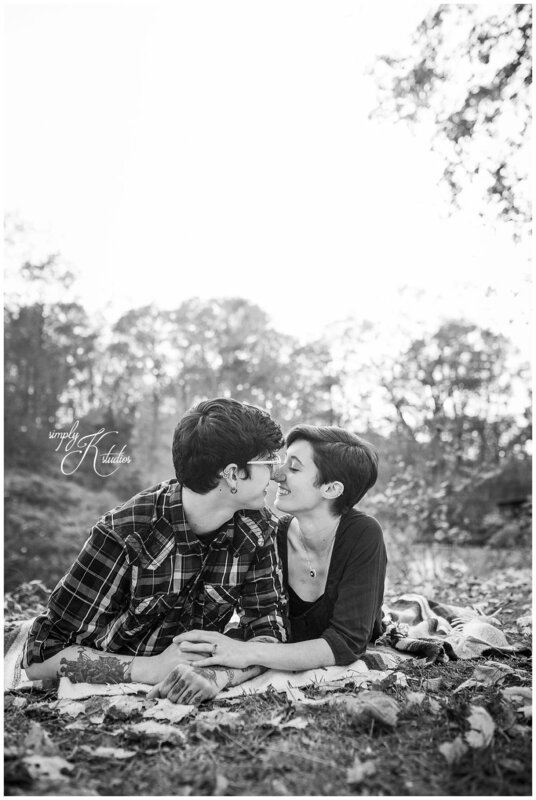 I don’t want to ruin the surprise too much…but THEY GOT ENGAGED DURING THE SESSION! 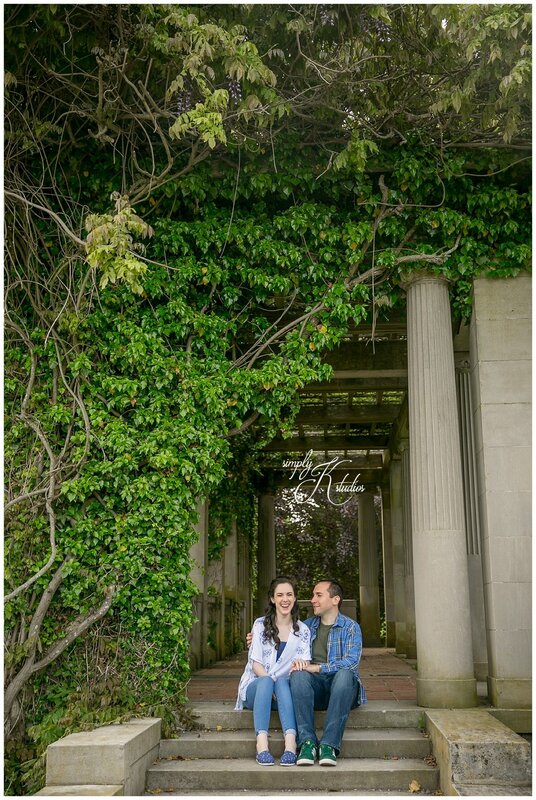 It was incredibly sweet and perfect with that feeling where you just can’t wait to tell the world (which I did, as soon as I saw a colleague photographing a wedding at the park!!!) 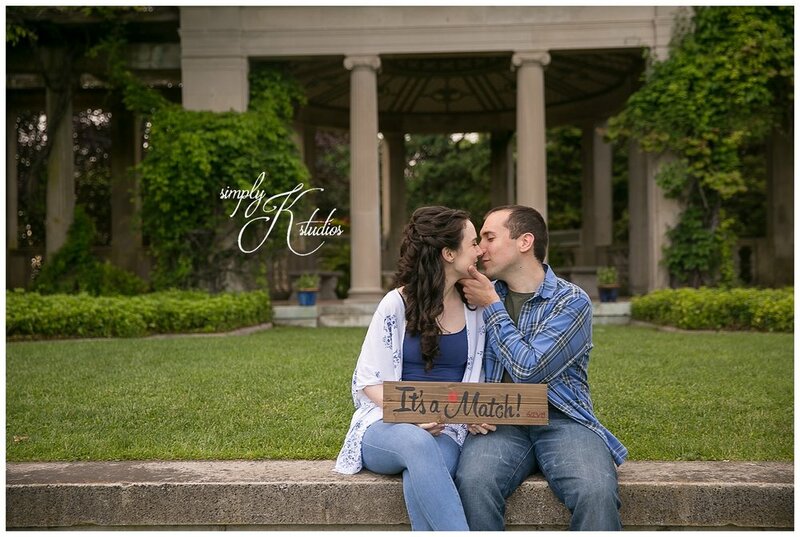 These moments are so incredibly precious and I hope to photograph many more proposals. 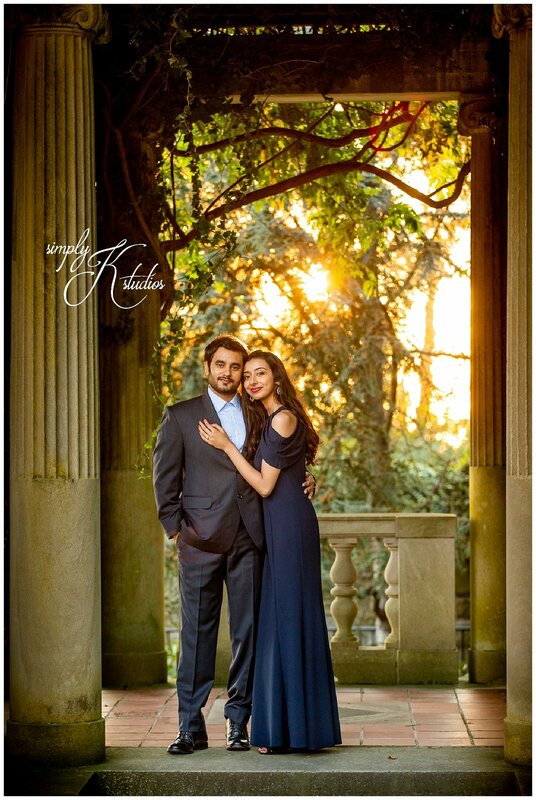 Congratulations, you two - I hope you remember that day forever! 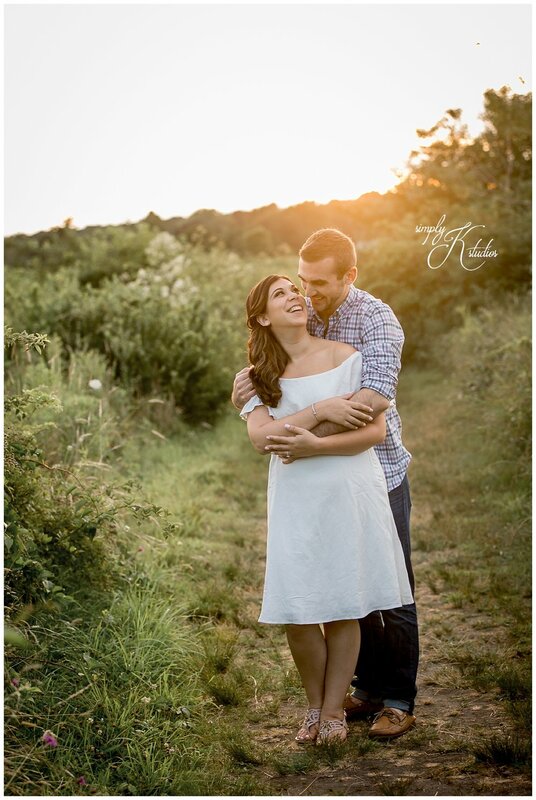 As most of you know, we have a soft spot in our hearts for Old Wethersfield. 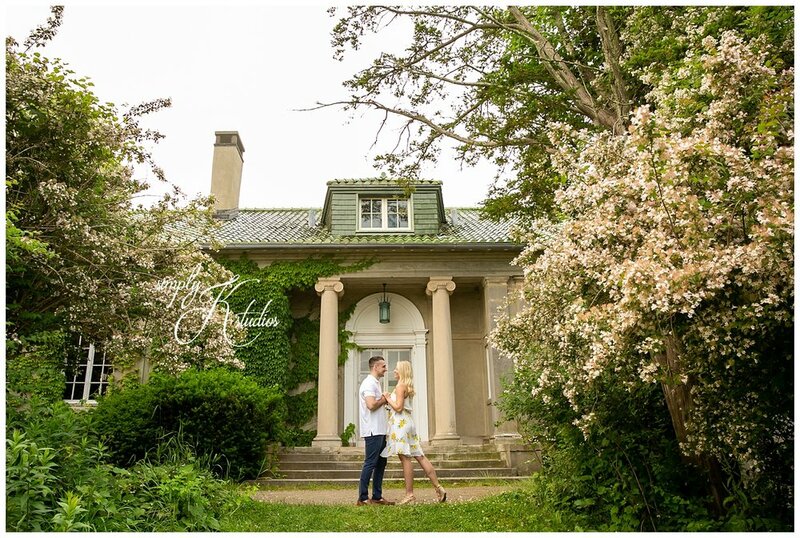 I was married at The Webb Barn and our studio was located just down Main Street for years. 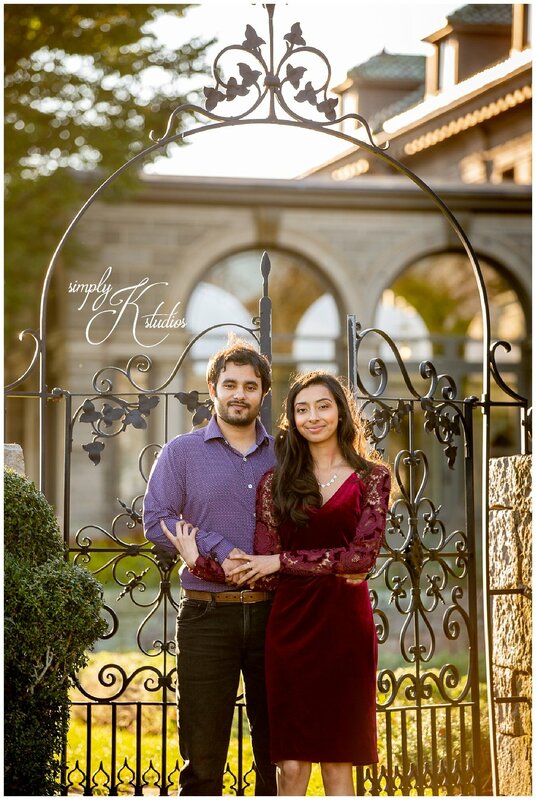 We’ve spent many afternoons window shopping and grabbing lunch at Cove Deli, and The Webb Barn is one of our favorite rustic wedding venues to photograph! 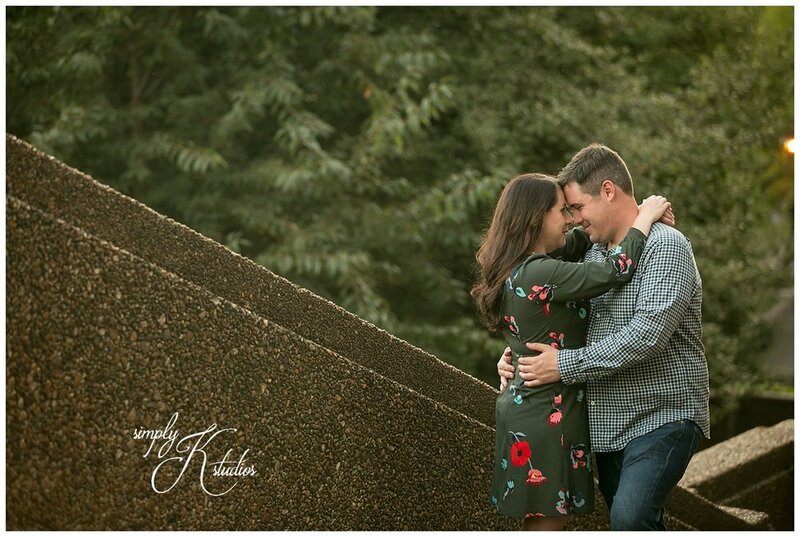 So of course I was excited when Amanda told me that John proposed to her down at the Cove and that they wanted to have their engagement session there! 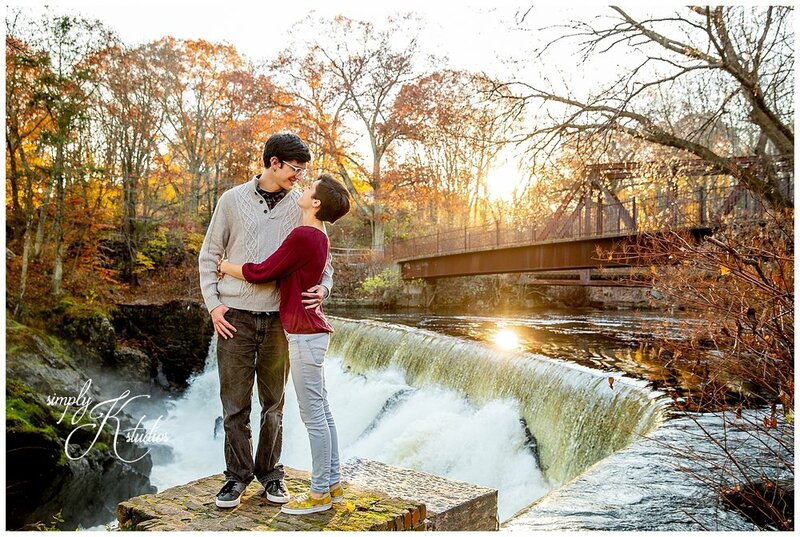 There’s nothing like fall in New England, and Old Wethersfield is small town perfection. 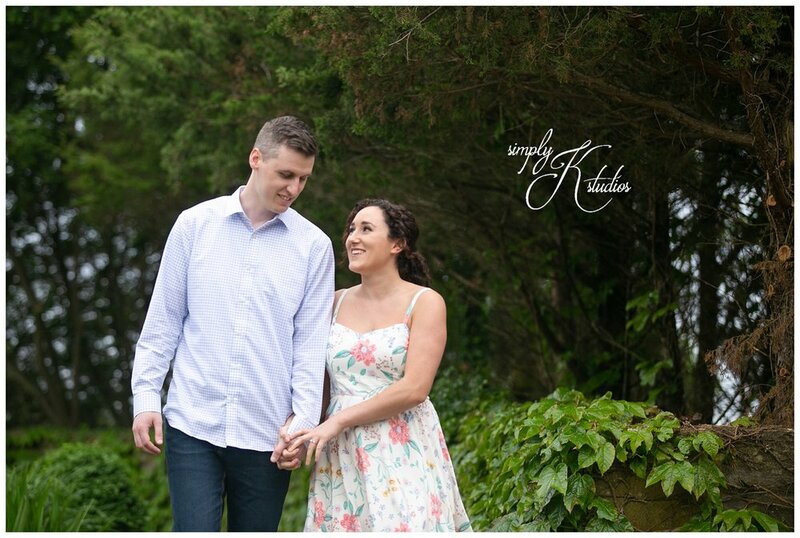 We’re excited to be photographing Amanda & John’s wedding at The Lace Factory in 2019 - congratulations, you two! 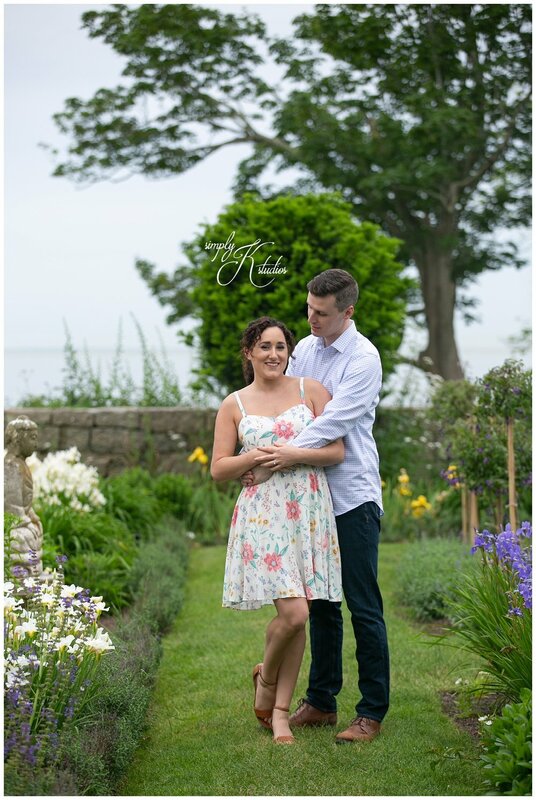 Cody & Ben were such naturals in front of the camera, and once again...Harkness Memorial State Park was an insanely beautiful backdrop. Right around the time we headed to the beach, some crazy fog rolled in, making everything surreal and dreamy. 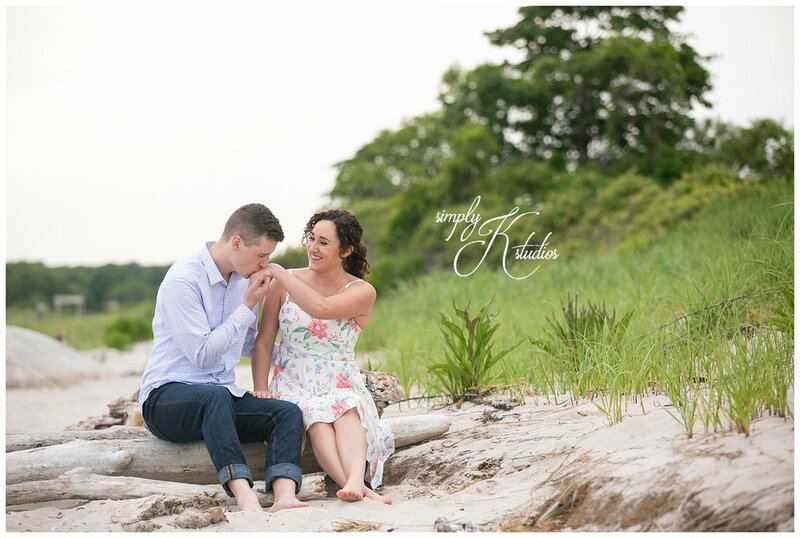 Here are a few favorites from their summer engagement session along the Connecticut shoreline. 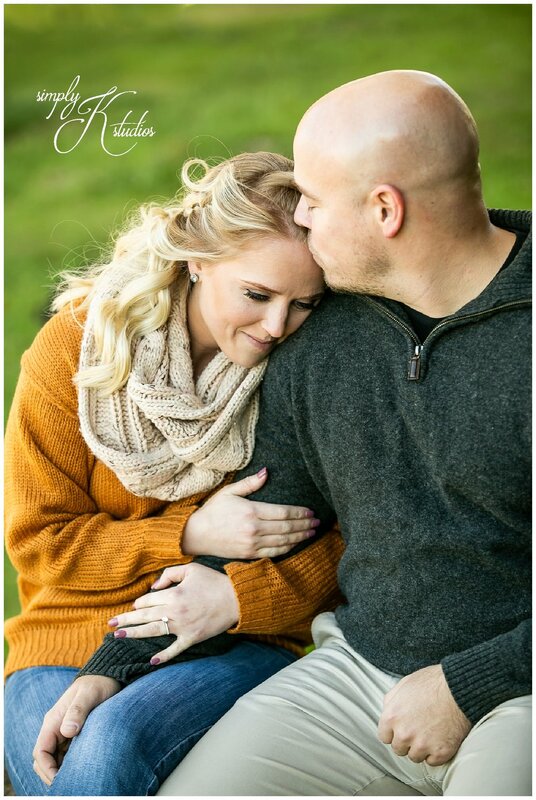 I cannot even put into words how much fun we've been having with our engagement sessions lately. 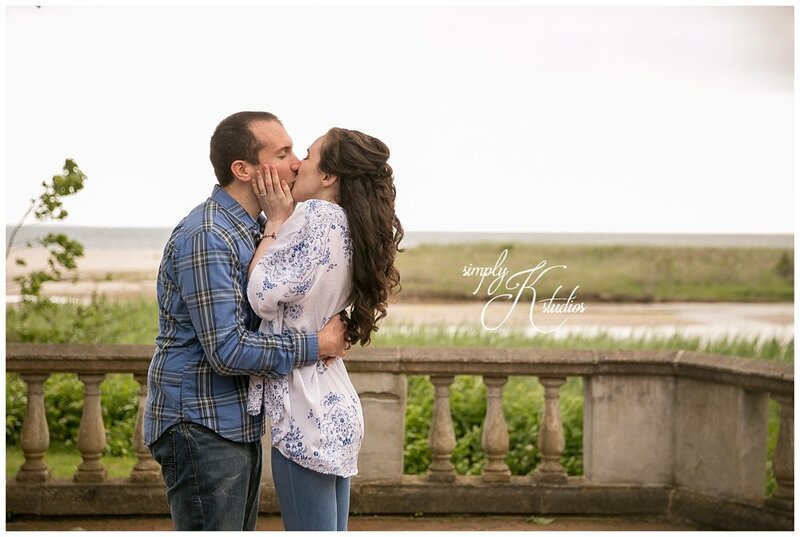 Jillian & Jeff's session at Eolia Mansion in Harkness Memorial State Park was no exception, and we're so seriously excited to be their wedding photographers next summer! 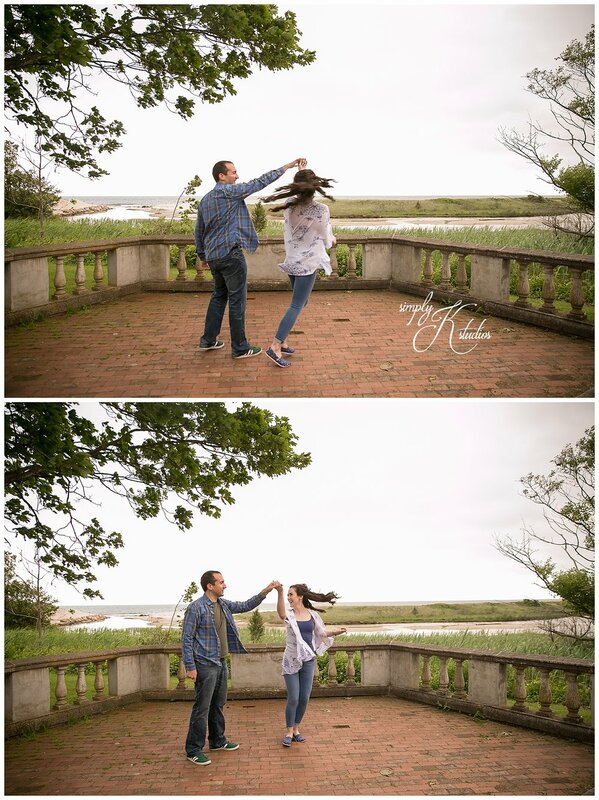 Here are some highlights from this lighthearted and fun engagement session. Have we mentioned how excited we are for spring?! 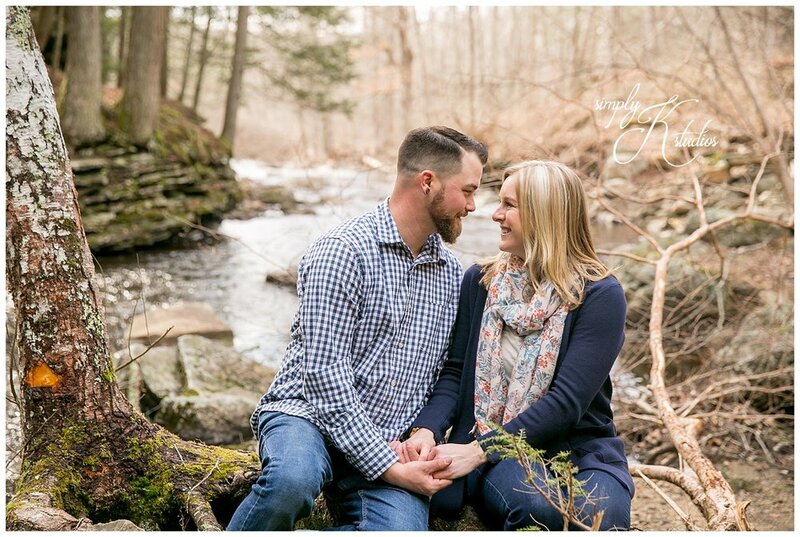 This super-sweet outdoor engagement session was hiking mixed with playful fun and I'm so excited to be their wedding photographer! 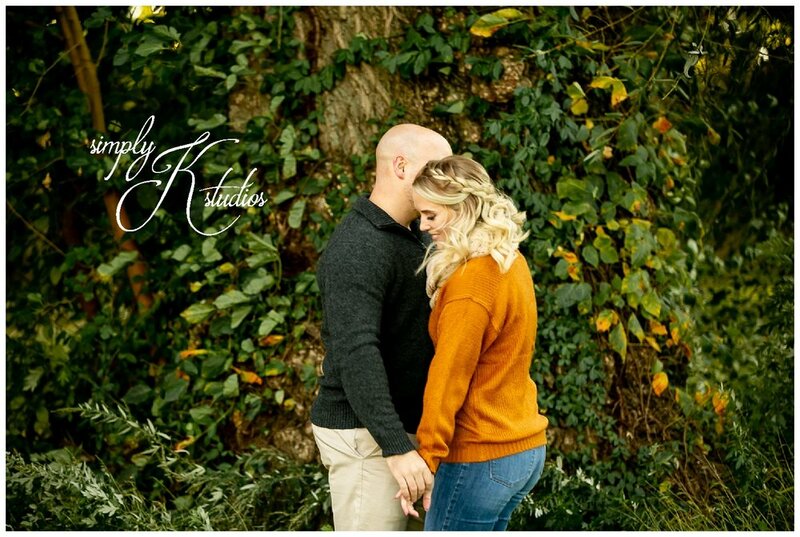 Kayla and Chris's wedding is just around the corner, at one of our favorite venues - The Lace Factory, and we can't wait to see which photographs they choose for their custom guest book! Joe and Jackie met online. 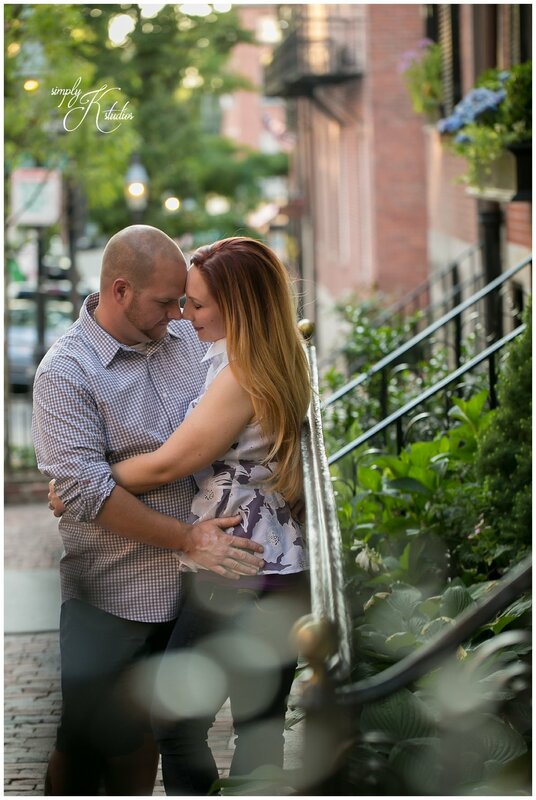 Joe asked Jackie out to happy hour at a little restaurant called Salute in downtown Hartford. Happy hour turned into closing down the bars on a Wednesday night, to then finding out that Jackie's car was locked in a parking garage at 2 AM. Joe, being the gentleman that he is, offered to give Jackie a ride home in the opposite direction of where he lived. 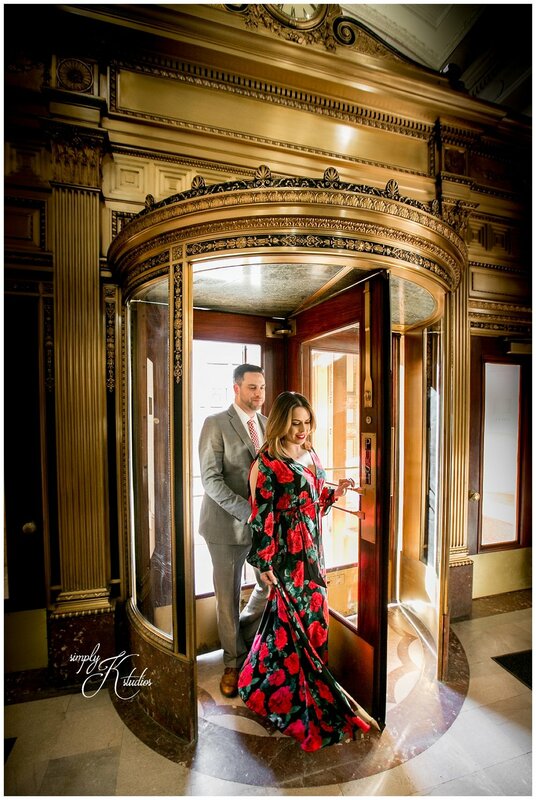 The next morning, Joe picked Jackie up before work to bring her downtown to get her car. 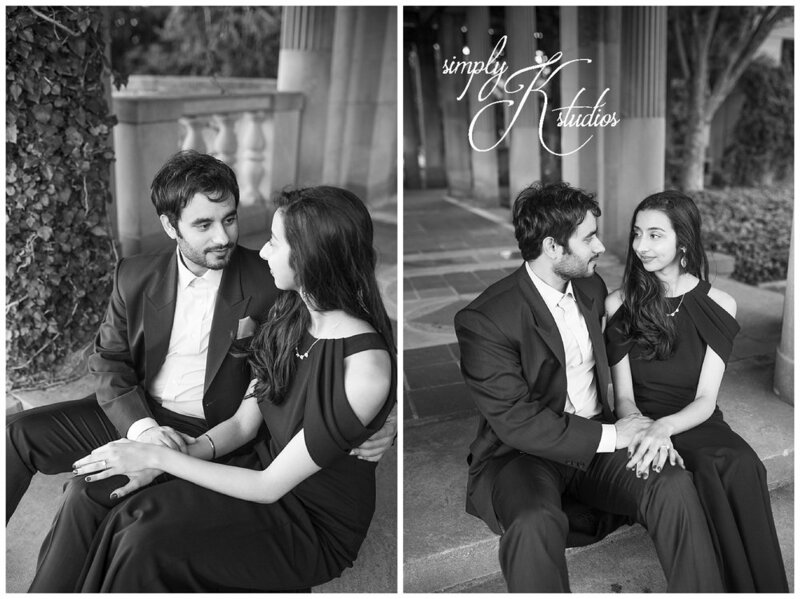 They immediately starting planning their second date, and from there were inseparable. 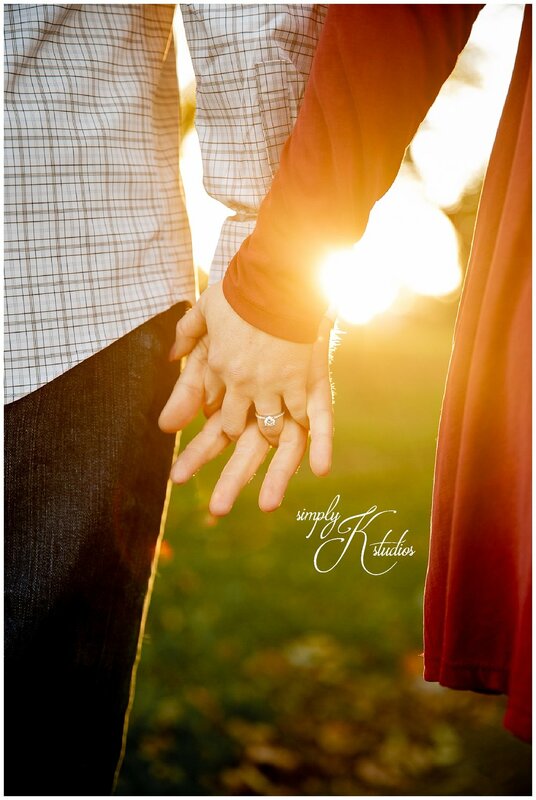 Love at first sight was not something either of them believed in until they met each other. 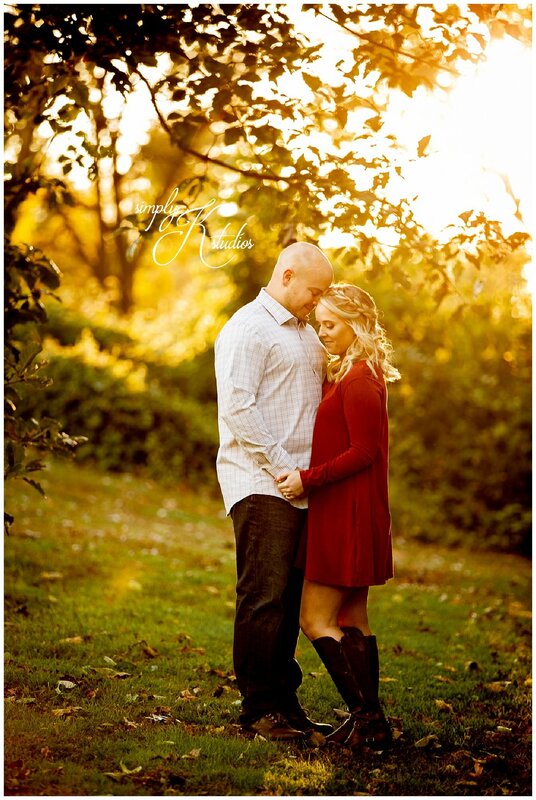 Jackie and Joe both knew they were meant for each other from the very start. Jackie even texted her best friend (and Maid of Honor) the very next day saying "I really think I'm going to end up marrying this guy." 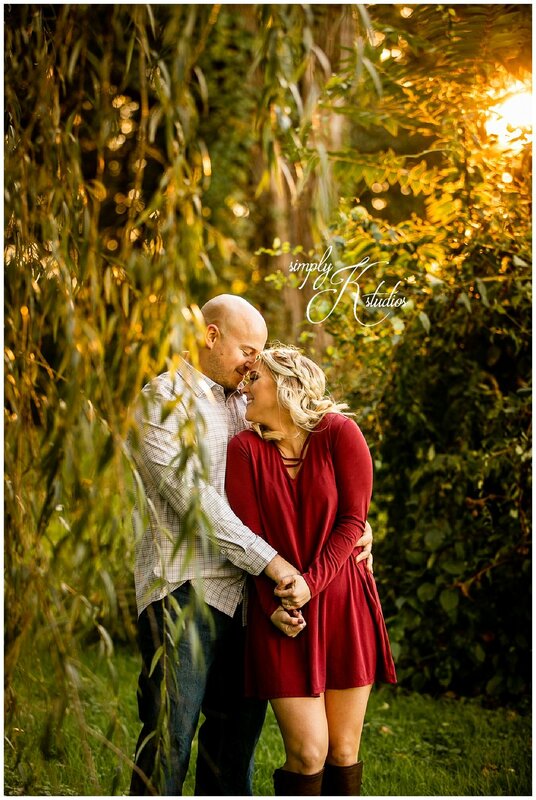 "Patrick and I met about a year and a half ago and knowing both our love for wine, our first date consisted of just that: a wine tasting. And naturally, we hit it off. 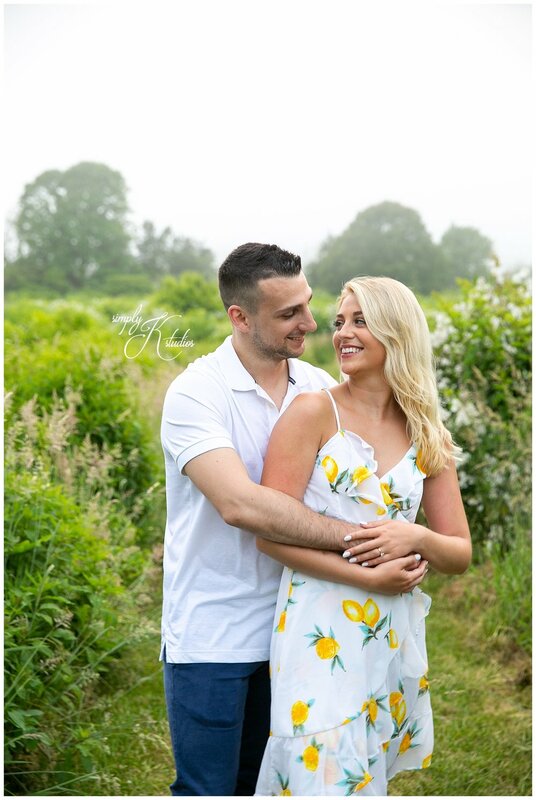 With me being fairly new to the area after relocating from North Dakota for a job in western Massachusetts, and with my line of work being hockey at the time, there was some hesitation on whether I'd be on the east coast for long or whether my job would take me elsewhere. 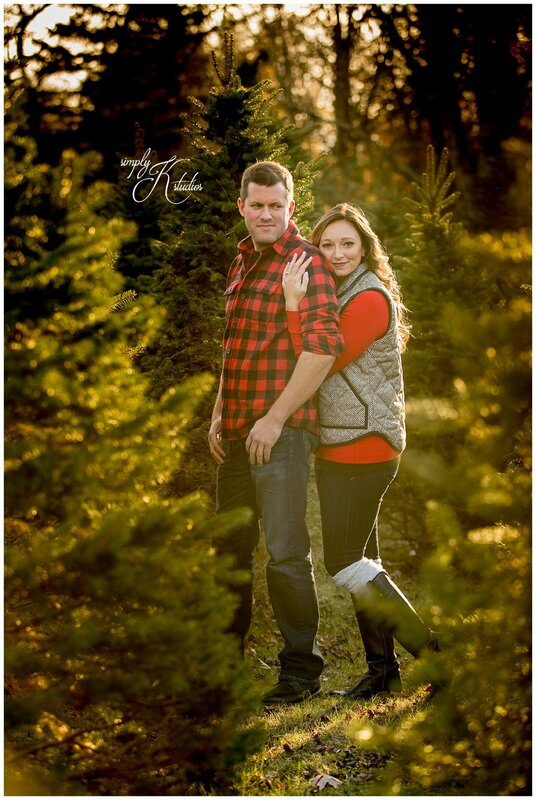 Patrick is a teacher and football coach in Springfield and is originally from Connecticut, so he was pretty set. Our affection continued to grow and we knew that even if we both had to move, we'd make it work. Fast forward through countless wine dates, trips to North Dakota to meet family, east coast adventures and vacations, we found ourselves in Newport in November to celebrate the end of Patrick's football season. 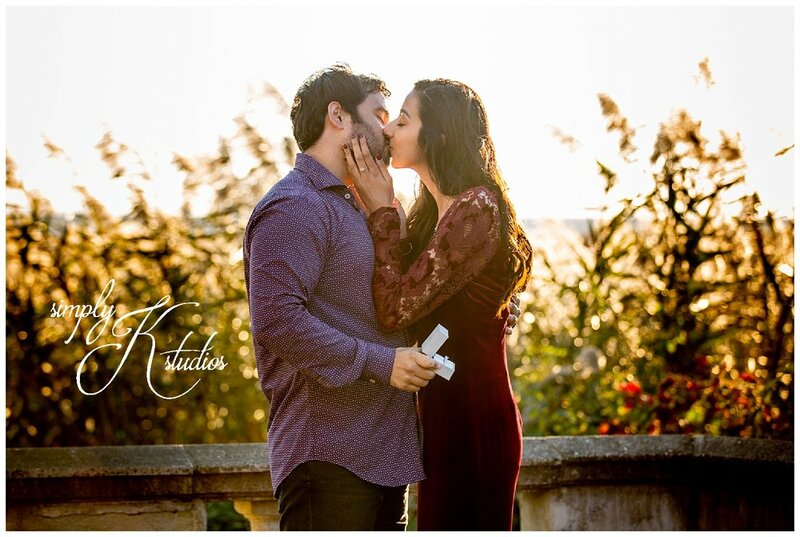 We were in the midst of touring the mansions when he took me aside on the back lawn of the Breakers mansion overlooking the ocean, when he got down on one knee, with a stunning ring, and asked me to spend forever with him. He was emotional, I was emotional, it was a total surprise, and it was perfect! 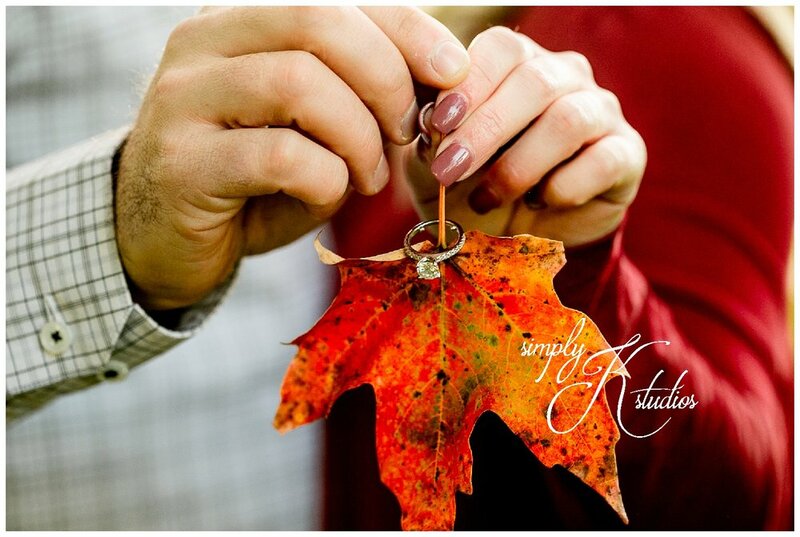 Fall is our favorite time of the year, so we're jumping into planning our midwest October 2018 wedding! 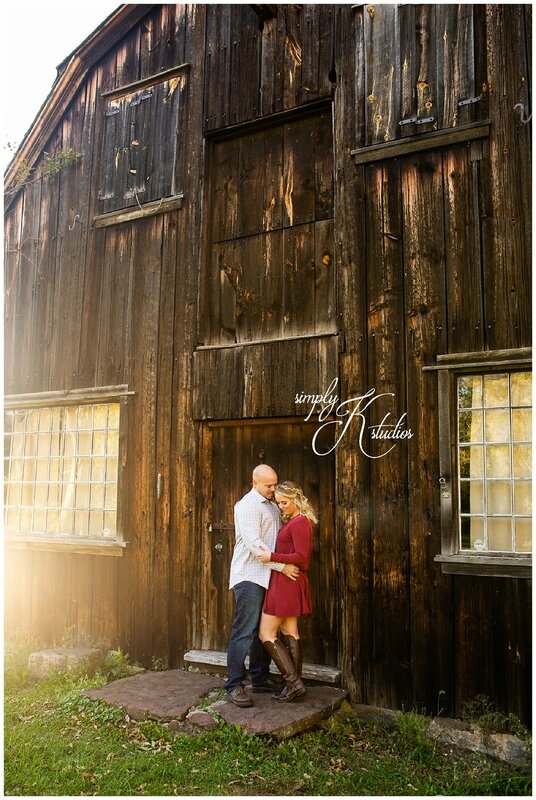 Our engagement photo session was absolutely perfect and set the tone perfectly for our rustic barn wedding!" "Nick and I grew up in the same hometown. Stratford is a fairly big town but when you divide it up into school systems, it’s really not that big. We went to the same elementary school, middle school and high school. We even had a class together. Journalism. Which turned out to be my college major and a big interest of his. We never dated though and I’m sure it was because he was a year ahead of me and we played different sports. It wasn't until a few years ago that fate brought us together we wouldn’t have it any other way. Christmas is a big deal for us. We love decorating and we especially love utilizing our fireplace. Nick usually makes the fires but the Tuesday before Christmas last year he asked me to make a fire. I figured it was because he secretly knows that I make better fires. 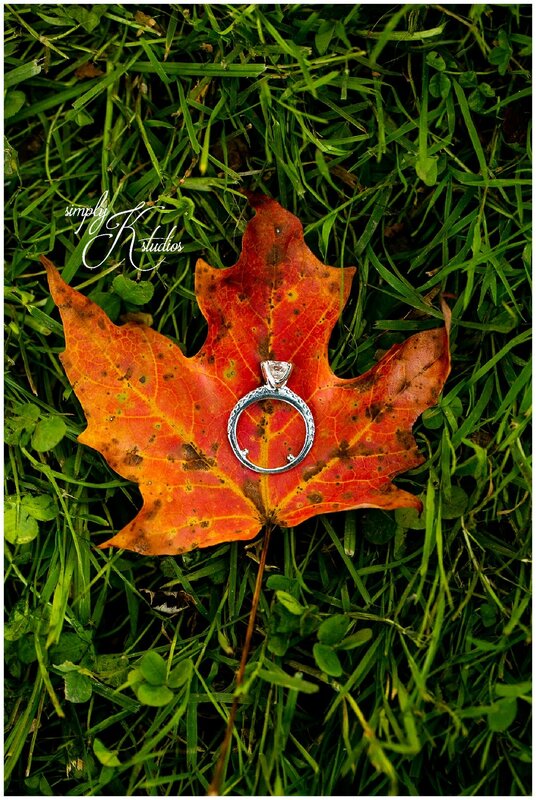 After stacking the wood and lighting the fire, I stood up and turned around, and there he was, down on one knee, next to our beautiful tree, with our dog by his side, with a beautiful ring, and he asked me to marry him. I was speechless and it emotional. It was a beautiful moment that neither of us will ever forget (including the dog- Leo). 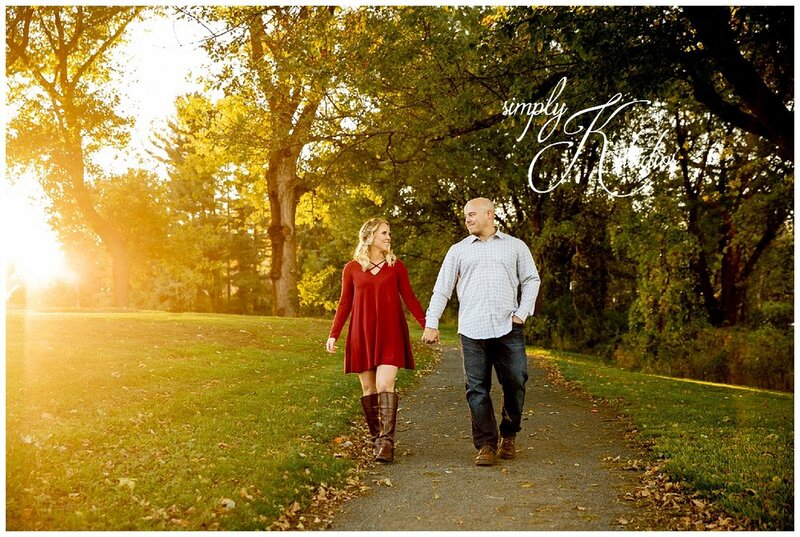 We wanted to enjoy the holidays and ring in the new year without worrying about the pressure of planning a wedding. 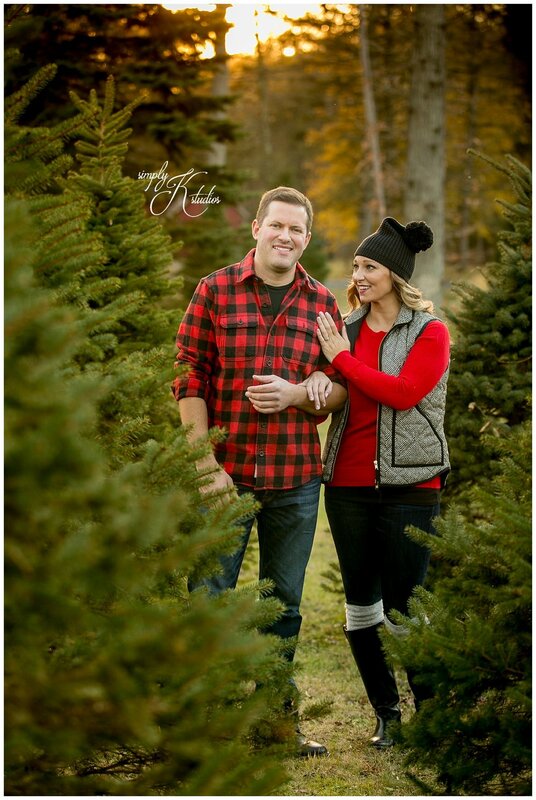 It was until four months after behind engaged that we started to plan and we knew one thing, we wanted a Christmas wedding. This year would have been too soon. We wanted to cherish this process and enjoy it. We picked a date of December 1st 2018. 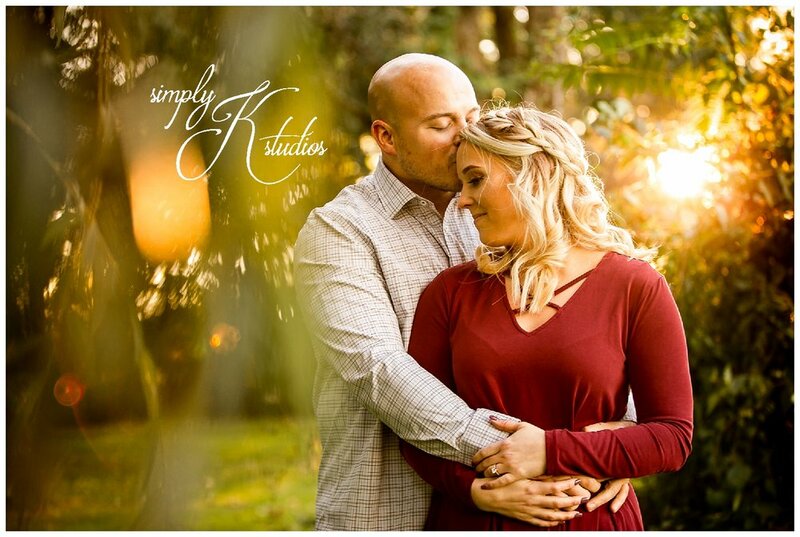 Our idea of a Christmas theme engagement shoot wouldn’t have been possible without Kathy from Simply K Studios and Sabia Tree Farm. 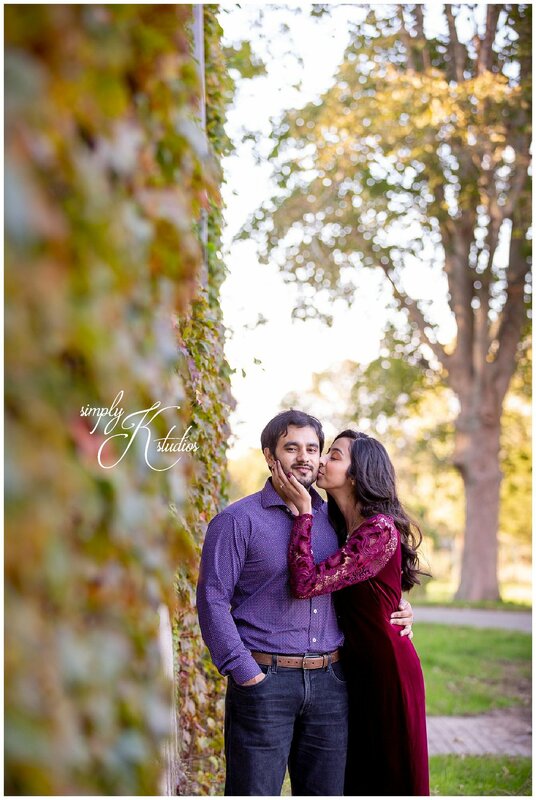 If our engagement session is any preview into what our wedding is going to be, we are going to be so happy!" On February 14th, 2013 Craig asked me to be his girlfriend after coming home from work that day. He had flowers and chocolates for me and I knew he was the one I wanted to spend the rest of my life with. He caters to me each and every day when I don't ask that of him. On the night of Christmas Eve in 2016 we were at his family's house and it was getting late. I was exhausted and had absolutely no idea what was about to happen. 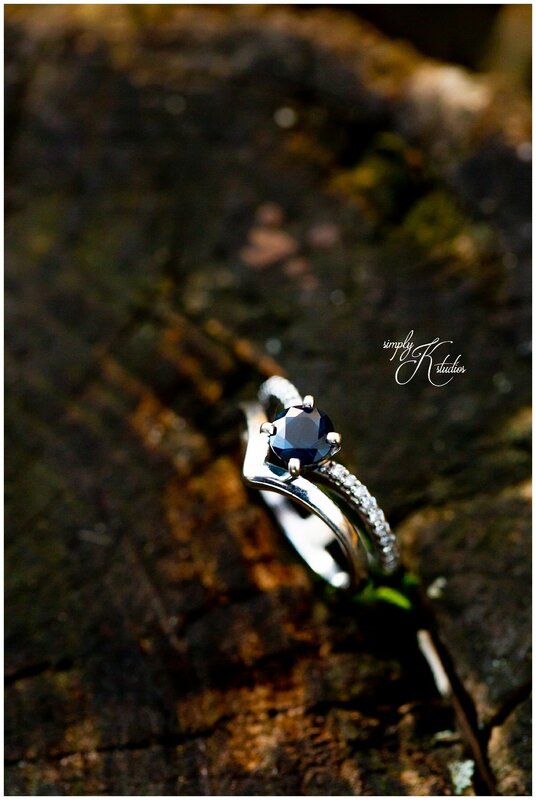 He took me into the dining room, got down on one knee and opened up the ring box and asked me to marry him. 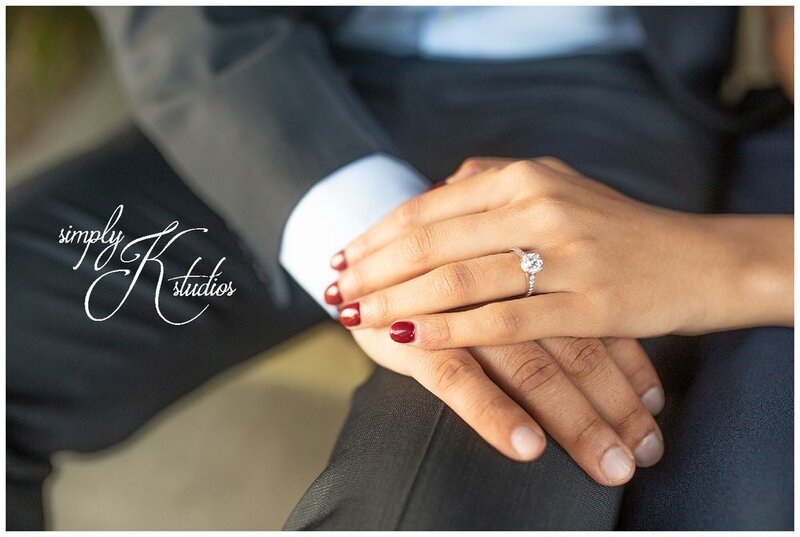 He picked the ring out all by himself and he did an amazing job! 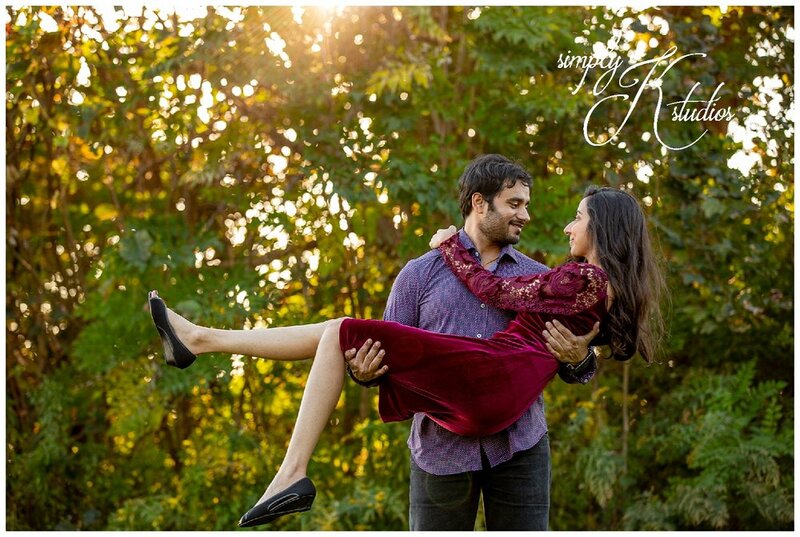 We set the date of August 25, 2018 to become Husband and Wife. This has truly been the journey of a lifetime so far and we have so many more memories to make! 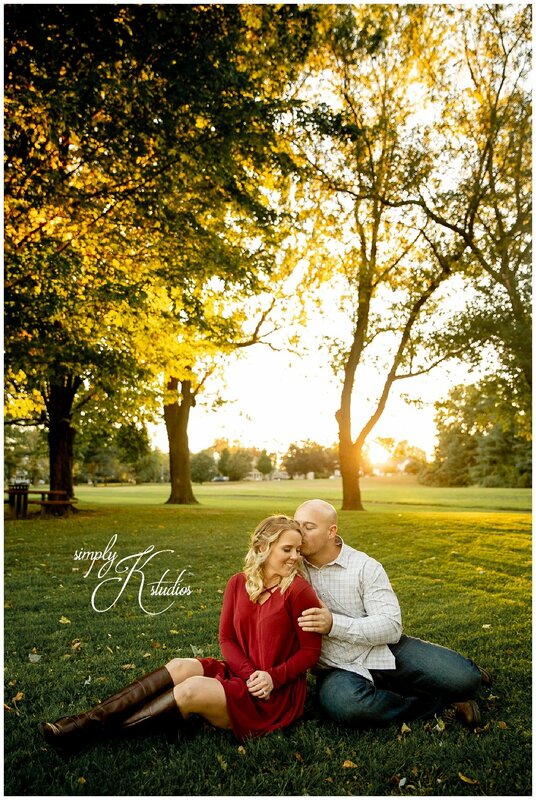 This beautiful fall engagement session was on one of these crazy warm October evenings we've had, when the light was just perfect. 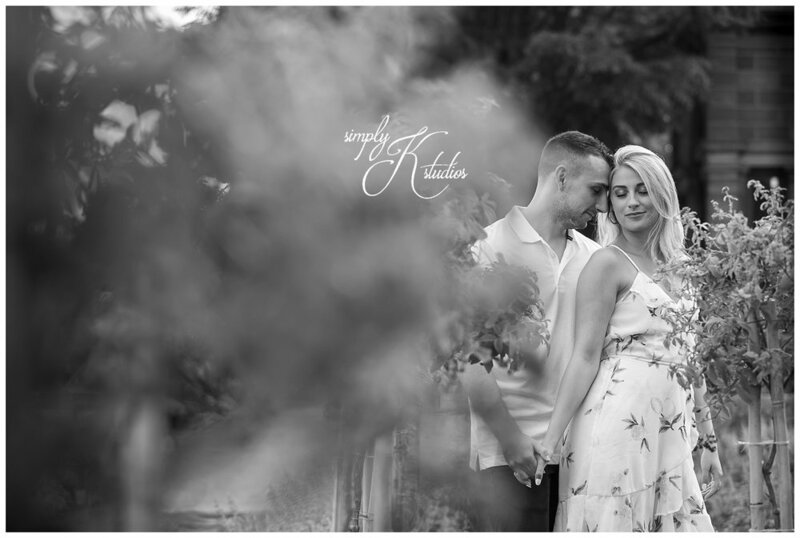 Sam & Josh were so relaxed and laid-back, which made for a great set of photographs that included a mix of candid and posed (the candids are always my favorite because they show personality). "So Josh and I grew up in the same town and went to the same high school, but never knew each other. We ended up meeting at CCSU in 2012. We met in a communications class called Persuasion/Social Influence, which was kind of ironic, haha. We dated for 4 years and then went on a trip to St. Maarten with Josh’s family. The night of December 4th, a few days into the trip, he took me out onto a dock at our resort to “take selfies with the sunset”. I was surprised by this, and I had no idea what he was planning. 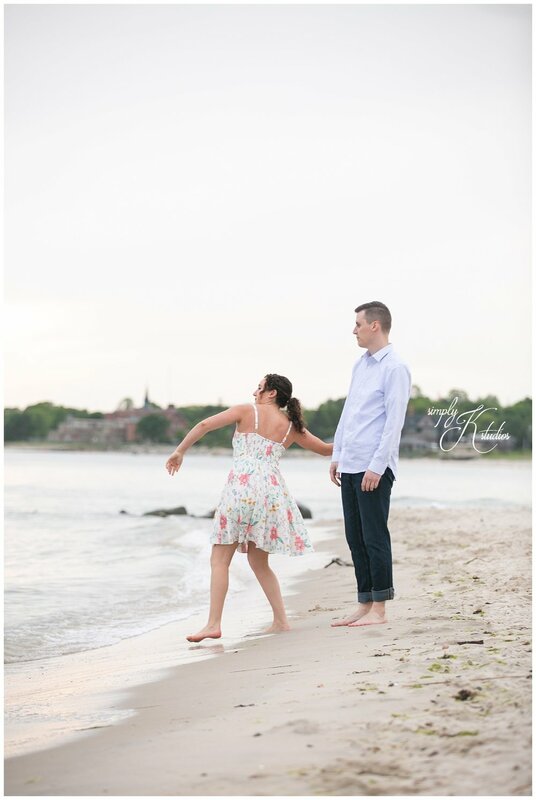 After we took some selfies, a family of 3 ran onto the dock and the mother asked us to take pictures of her kids jumping in the water. Josh looked really flustered and annoyed, which was unlike him. 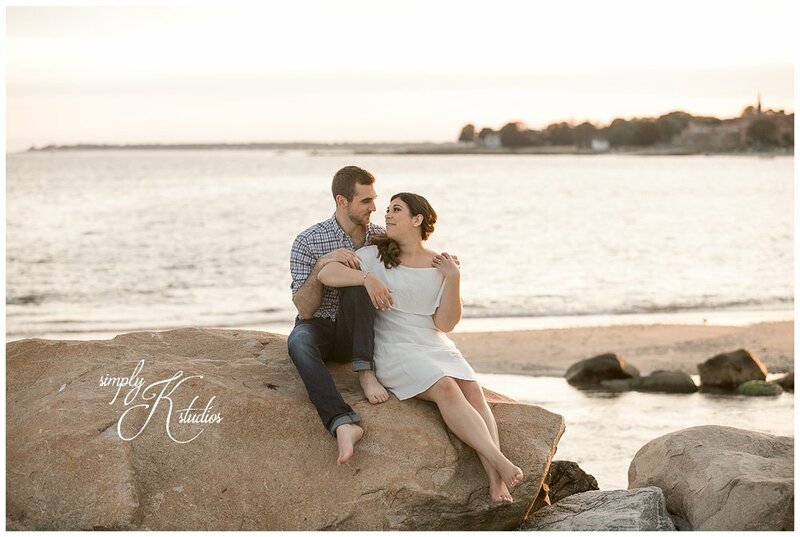 Little did I know, he wanted to propose as the sun was setting, before it fell beyond the horizon, and his family was waiting on the beach to get pictures. The family finally left and I had a hunch that something amazing was about to happen. 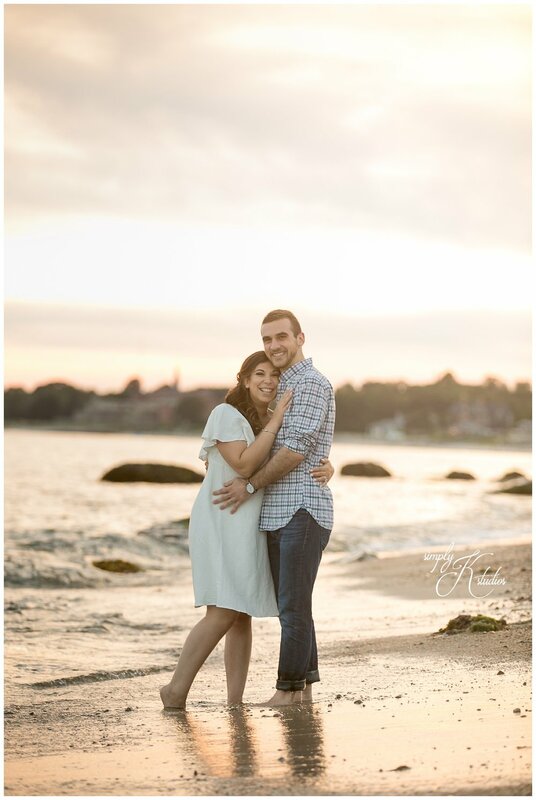 He proposed just in time on that dock as the sun was setting. I said yes, through many tears. It was the sweetest moment, but pretty funny! He was so thrown off by the family. But it all worked out!" 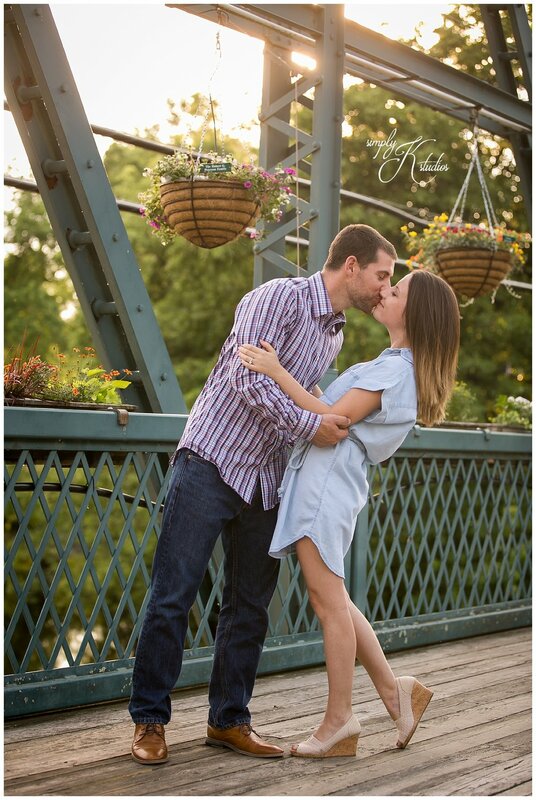 XOXO, Sam & Josh - we cannot wait for your upcoming wedding!!! 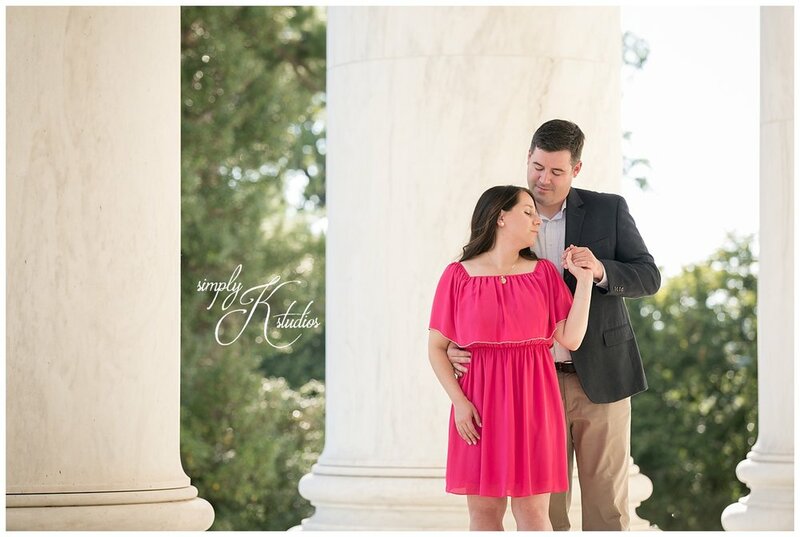 I was so excited when Vickie & John asked if they could have engagement photos taken in Washington D.C. this fall! It's been years since I've been down there and I had forgotten how much I love it. 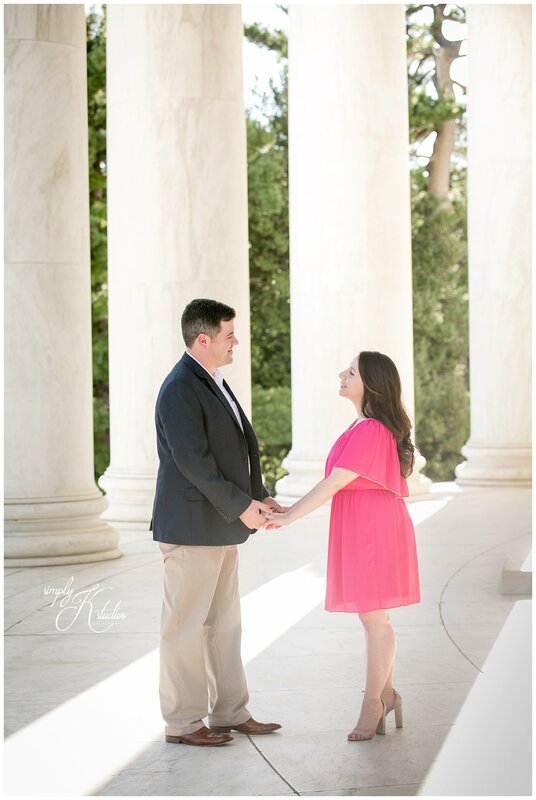 We met at The Jefferson Memorial on the Tidal Basin to begin their session. 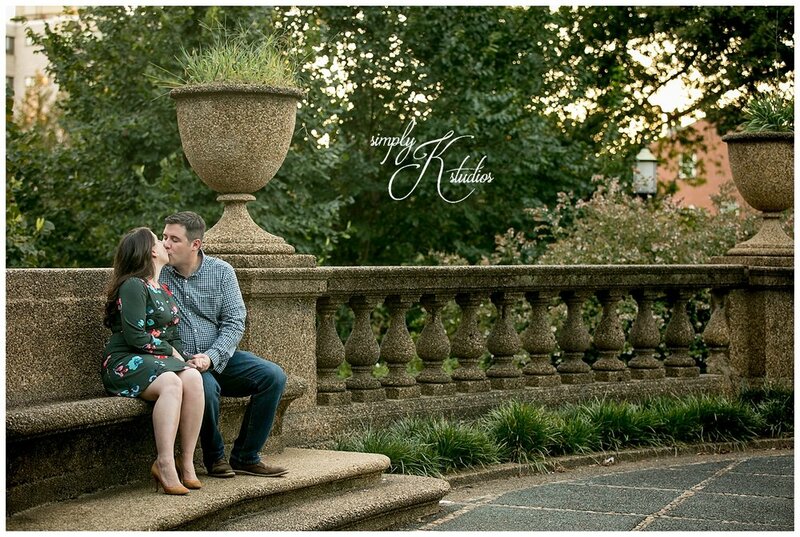 Even with all of the tourists, we were able to find some quiet spots for their portraits. 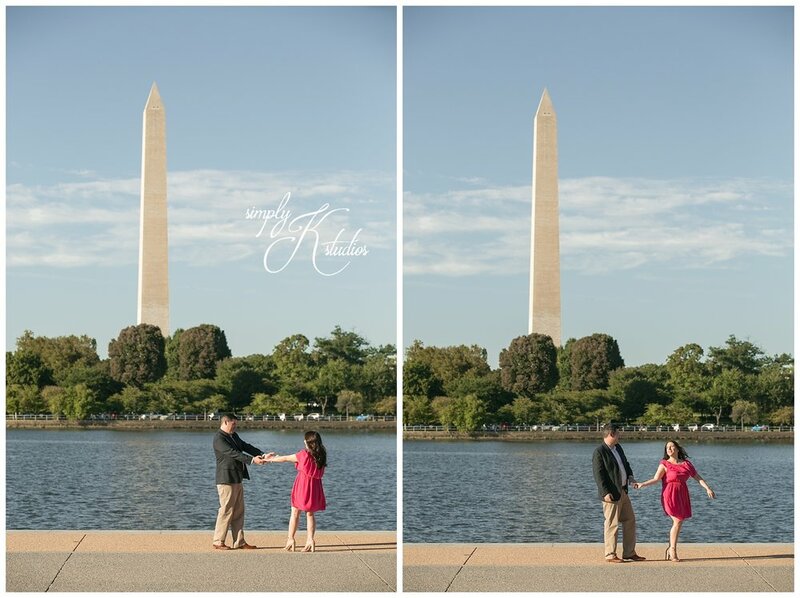 With views of the Washington Monument across the Tidal Basin, it was truly a perfect spot for a few iconic photographs in D.C. before we headed to our next location. 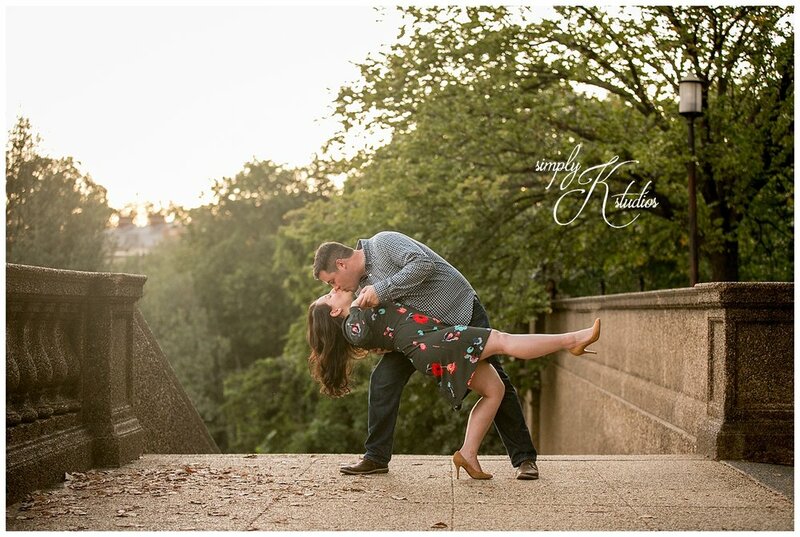 Vickie told me that her and John had their first date at Bar Pilar in the city so we stopped there for a few photos outside then walked to Meridian Hill Park to finish their session. 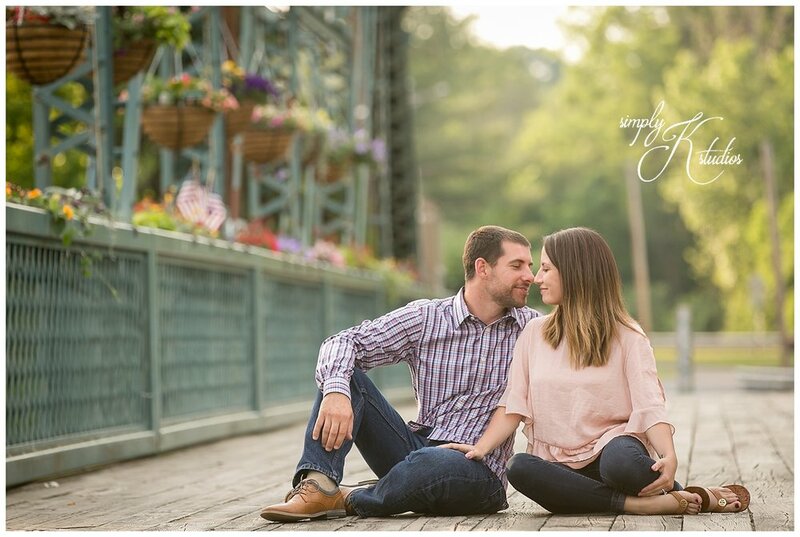 I had so much fun with these guys and can't wait for their spring wedding at The Simsbury Inn! 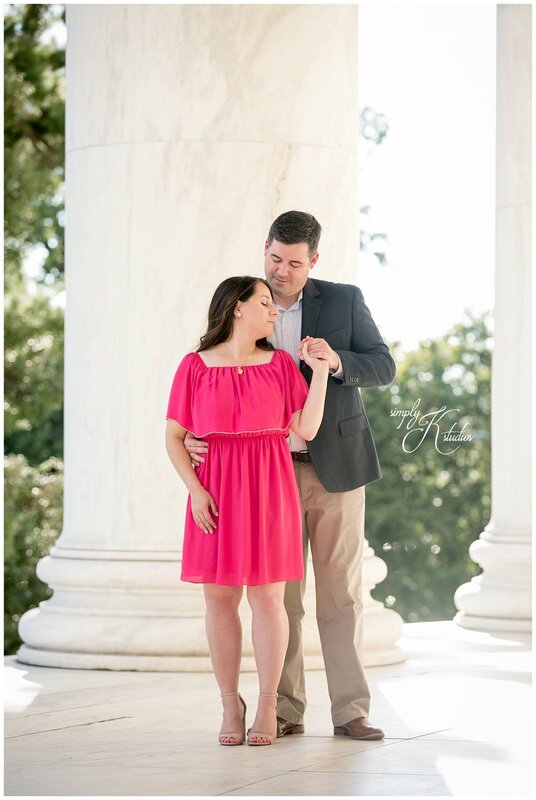 In Engagement Sessions Tags Washington D.C. 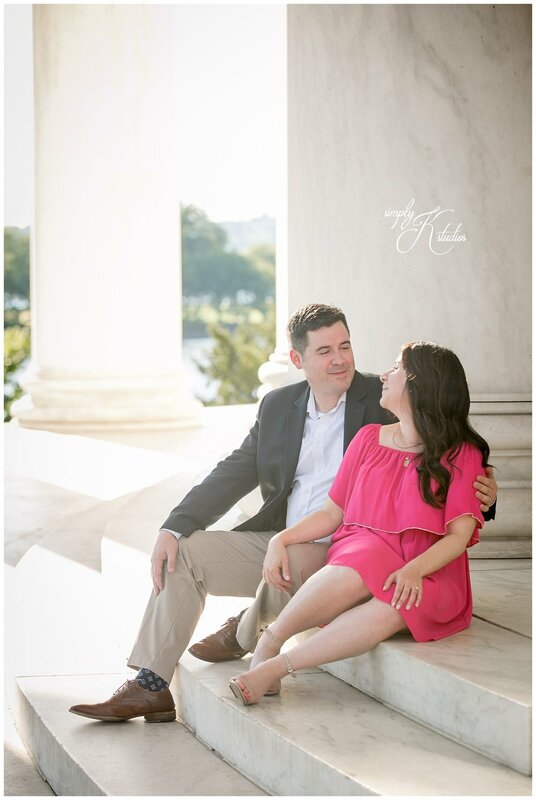 Engagement Session, Washington D.C. 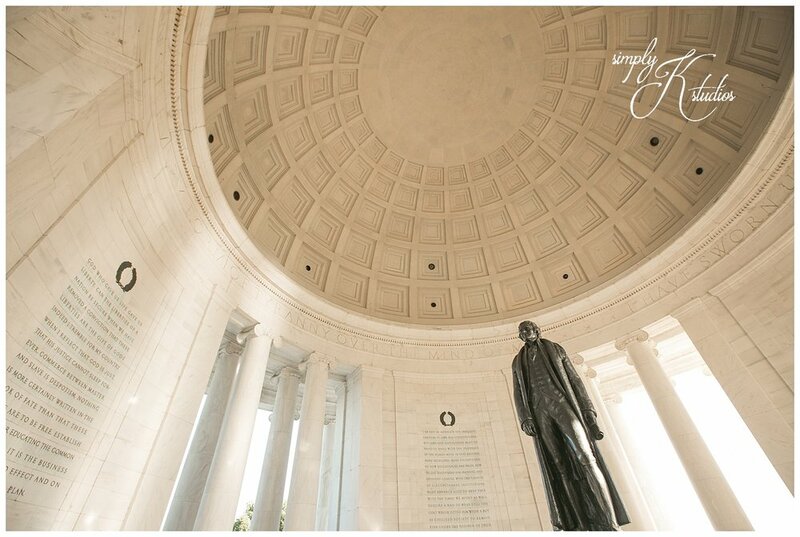 Photographers, Washington D.C. 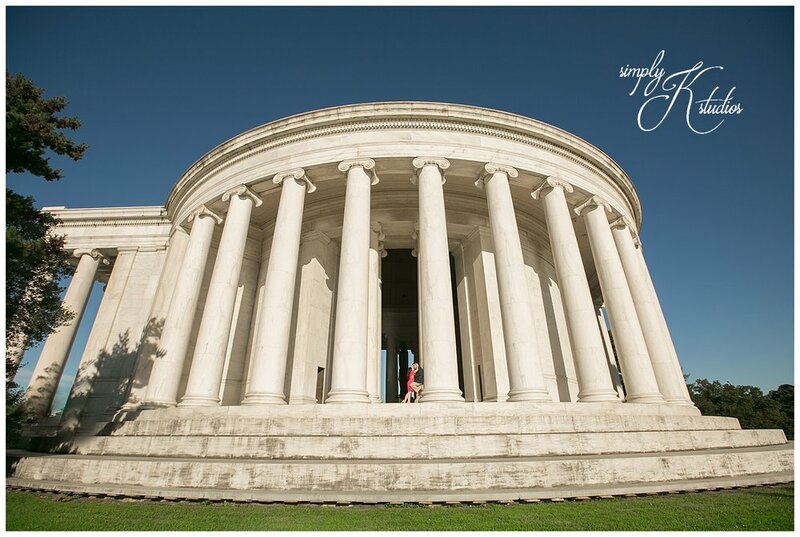 Engagement Photos, Engagement Photos at The Jefferson Memorial, Engagement Photos in Washington D.C., Destination Wedding Photographers, Destination Photographers, Connecticut Wedding Photographers, Newport RI Wedding Photographers, Boston Wedding Photographers, Hartford CT Wedding Photographers, Meridian Hill Park Engagement Photos, Engagement Session at Meridian Hill Park, The Jefferson Memorial in Washington D.C., Natural and Candid Wedding Photos, Arlington VA Engagement Photos, Alexandria VA Wedding Photographers, Tidal Basin Engagement Session, Washington D.C., Engagement Sessions in D.C. When Jillian and Michael met me at the studio. Something clicked. It was one of those meetings that flowed. We talked about life, their love story, future aspirations and pretty much everything in the middle. It was an amazing three hours. For anyone that has met me, I can talk. Especially about how much I love what I do. 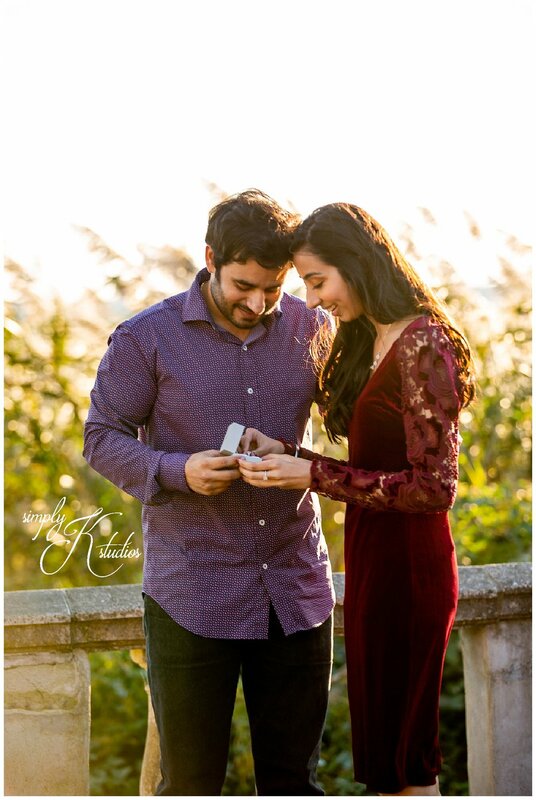 I love capturing those important moments that you want to remember forever. It rarely feels like work to me. 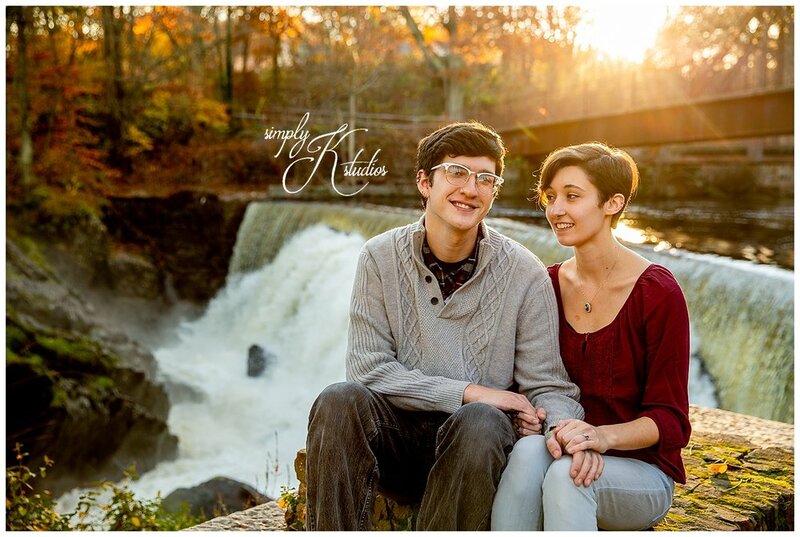 For Jillian and Michael, photos are really important to them. 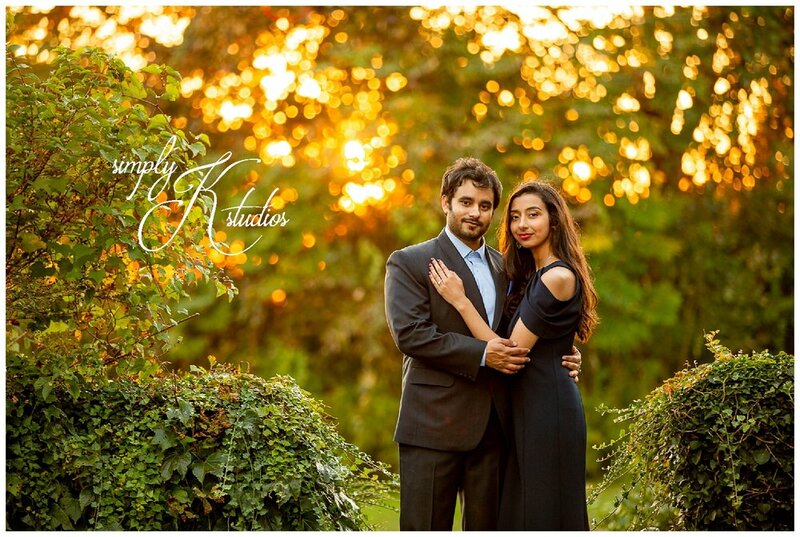 They have a sweet college love story and want to remember it forever. 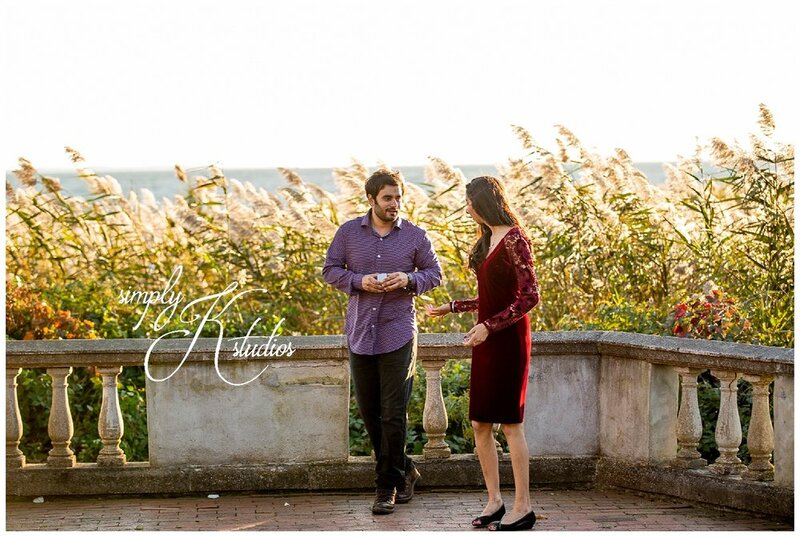 During their meeting, we discussed photographing by the shore. 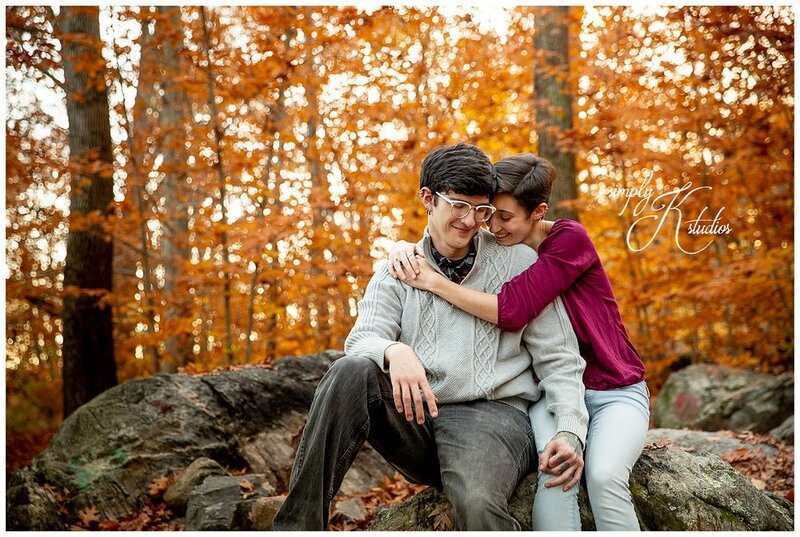 They have spent a lot of their relationship around there, so we had to do some photos. Then they told me they were moving to Philadelphia, I was all about it! We love anything to do with travel, so I was so excited! 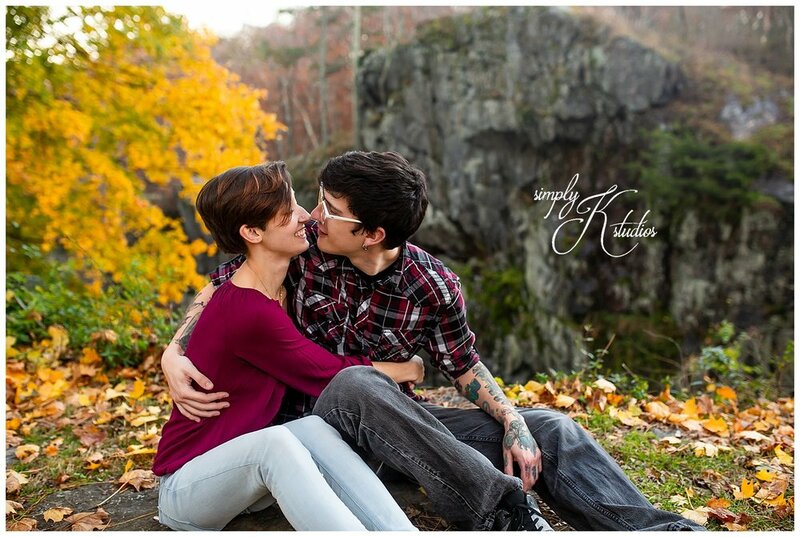 And instead of picking which place to do it, we photographed two sessions. Why not? One where the love began and one were it was going. Makes complete sense to me! 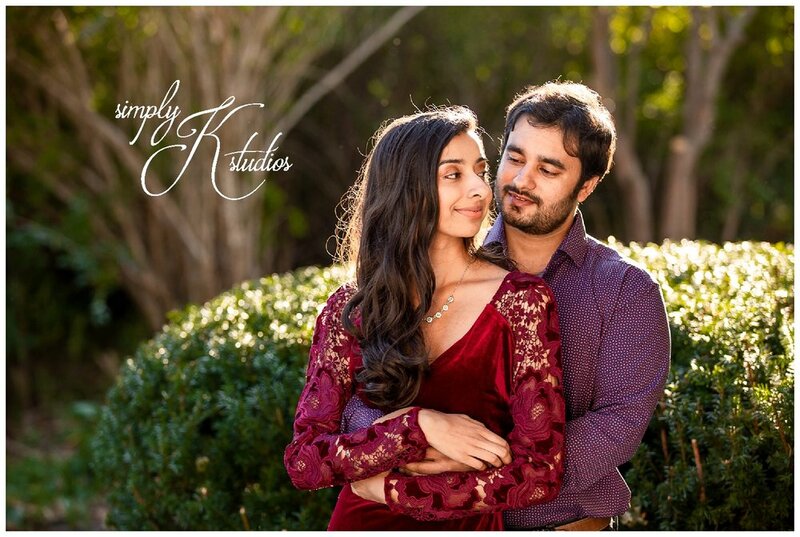 In case you missed it, check out their first session! 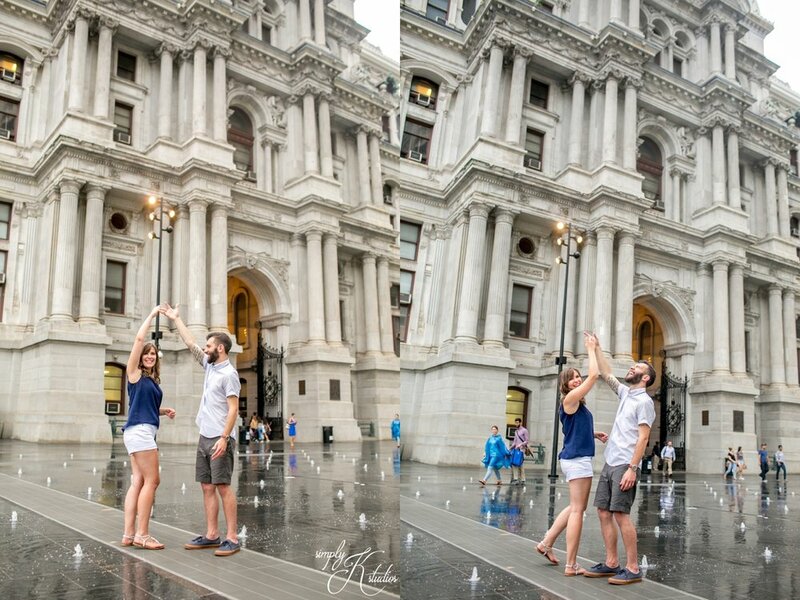 I haven't spent a lot of time in Philadelphia, so I was excited to see the city. They are still exploring, so they were excited too! I have to say, from what I saw, it's a fantastic city. We started off at Race Street Pier with the Benjamin Franklin Bridge then headed to Elfreth's Alley (a must see if you ever go to the city). Then we headed over to City Hall, I mean, the architecture of that place is insane!! Lastly, we headed to Penn Campus for the 300 year old "Harry Potter" looking building. Check it out, it looks like it should have been in the movie! 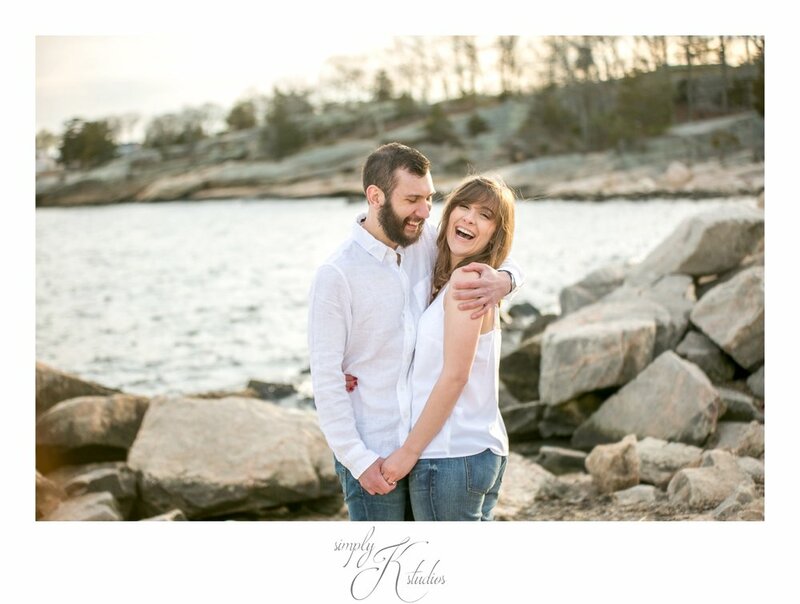 Jillian & Michael, I have so enjoyed getting to know you two so well. I can't wait for your wedding next year! I know it's going to be amazing! 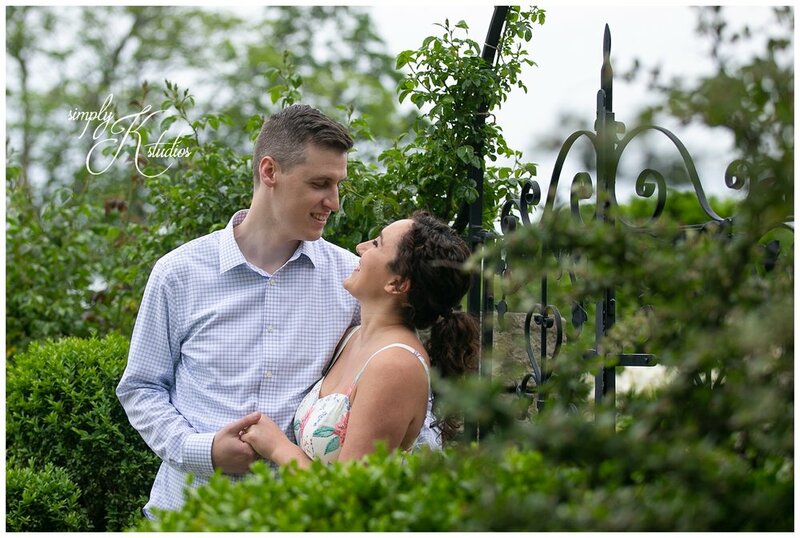 JoAnna & Evan met me at Eolia Mansion in Harkness Memorial State Park for their engagement session this past week, and it was absolutely perfect. 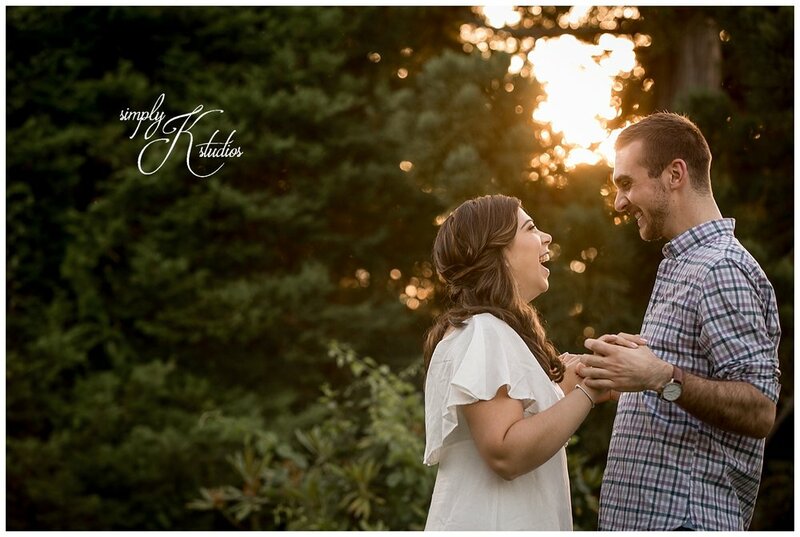 They showed up with a lot of laughs, and I reassured them that it was exactly what I love to photograph. We're always looking for raw emotion in photos, truly capturing our clients' personalities, which is so important to a wedding photographer. 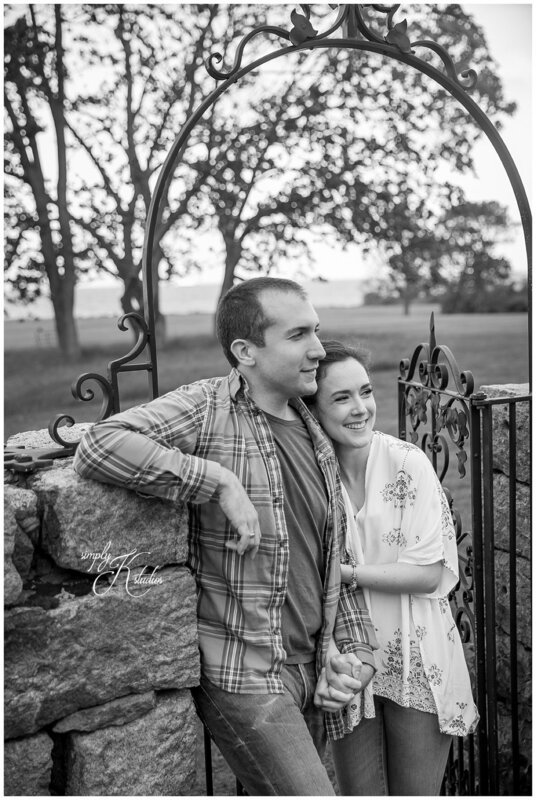 Seeing those moments later where you laughed from nervousness before you saw each other for the first time, those tears when you're walking down the aisle, or when your parents are wiping away their own tears as you say, "I do" - that's the good stuff. The stuff you'll remember after your wedding is over, and the candids that a really great wedding photographer will capture for you. 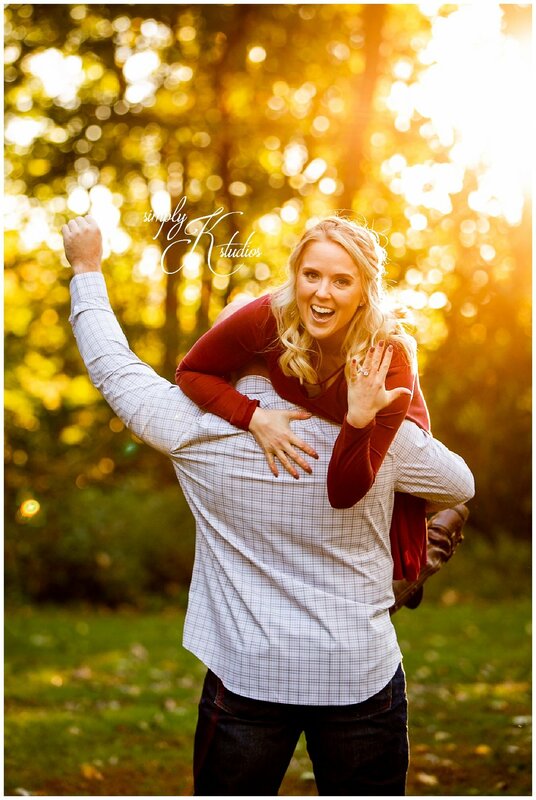 Long after the cake is gone and the flowers have wilted, when your dress is put away and your invitations have come off of your guests' refrigerators...you'll look back on those photographs, and THOSE memories will make you laugh and cry again, thinking back to one of the best days of your life. 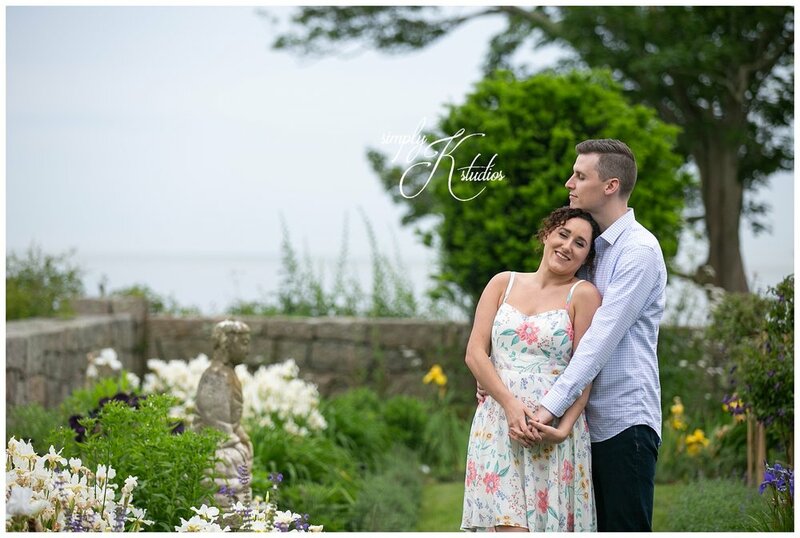 It's so easy for photographers to put our clients into a spot and ask them to pose (and we often do!) 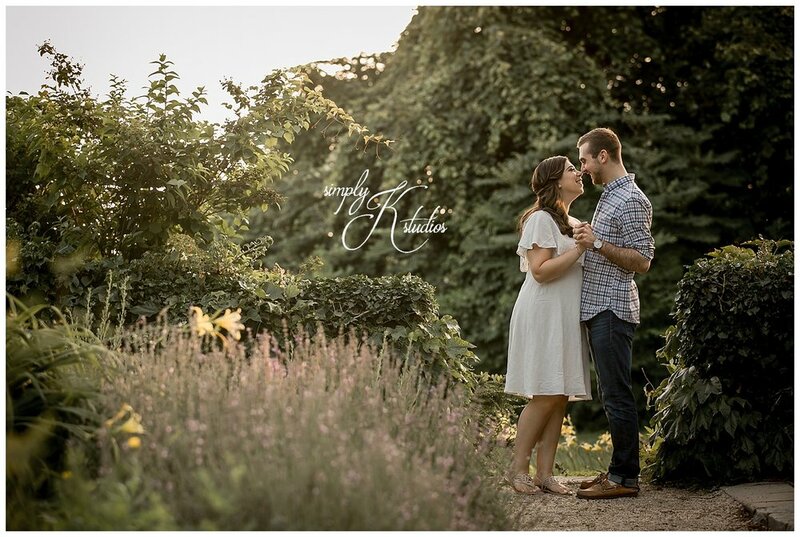 But the real part of our job is capturing what it feels like to be together, in that spot, at that moment. 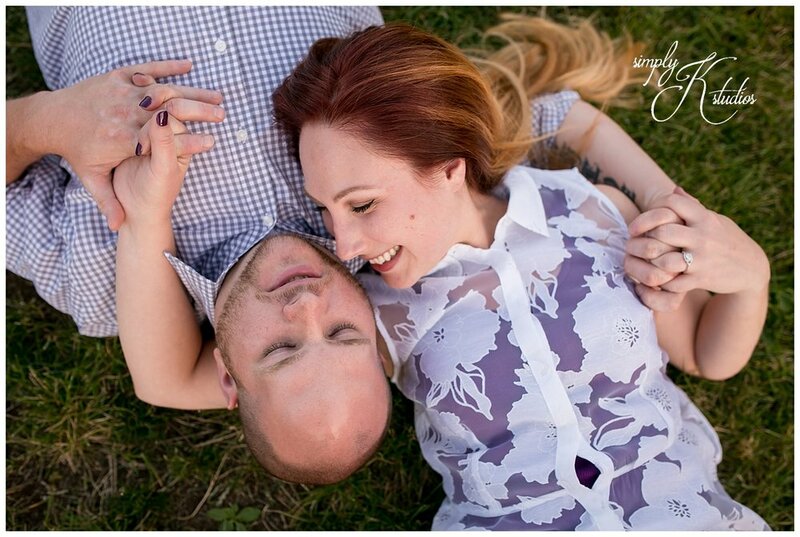 JoAnna & Evan, I cannot wait to photograph your upcoming wedding. My hopes are that it's filled with laughs, love, dancing, dips, and maybe even a few happy tears. 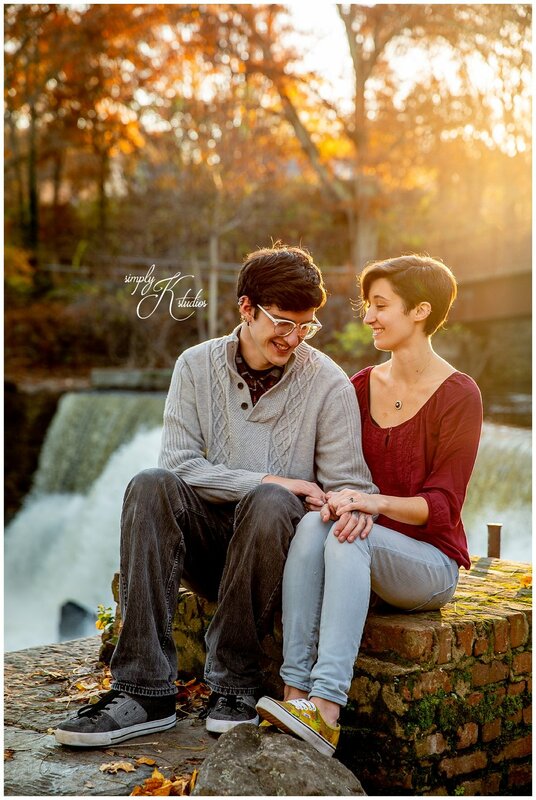 I'm so happy for you both! 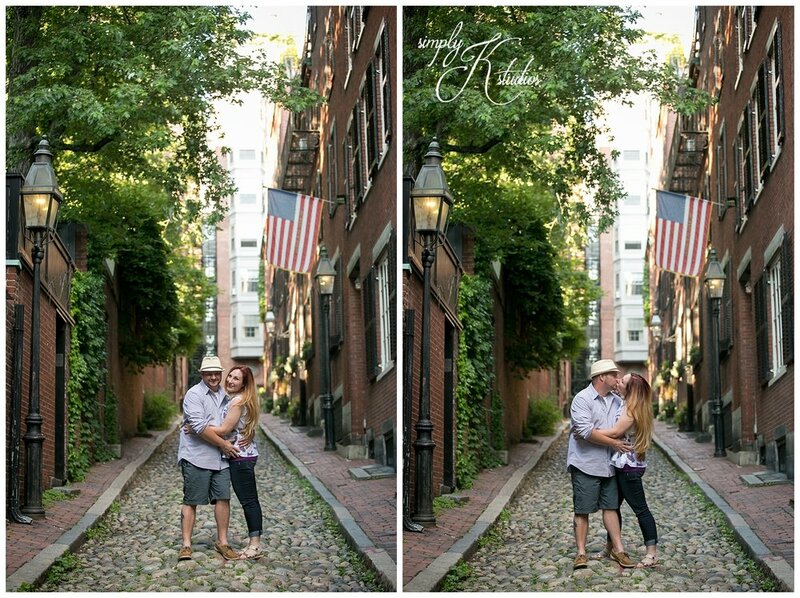 Stephenie and Kevin's engagement session in Boston was filled with lots of exploring around Beacon Hill, where we wandered around the cute little streets and alleys. 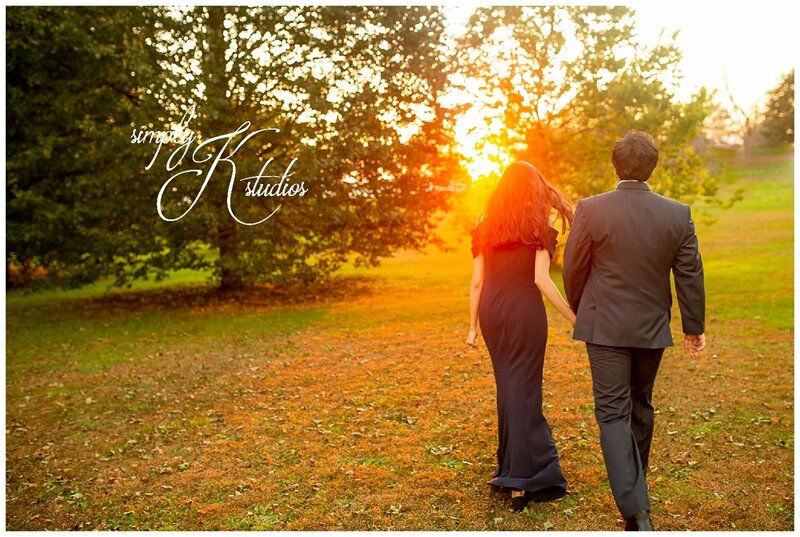 These two are filled with happiness and personality, which made photographing their session such a fun evening. It's like there were moments they just forgot I was there and had fun laughing and being themselves. 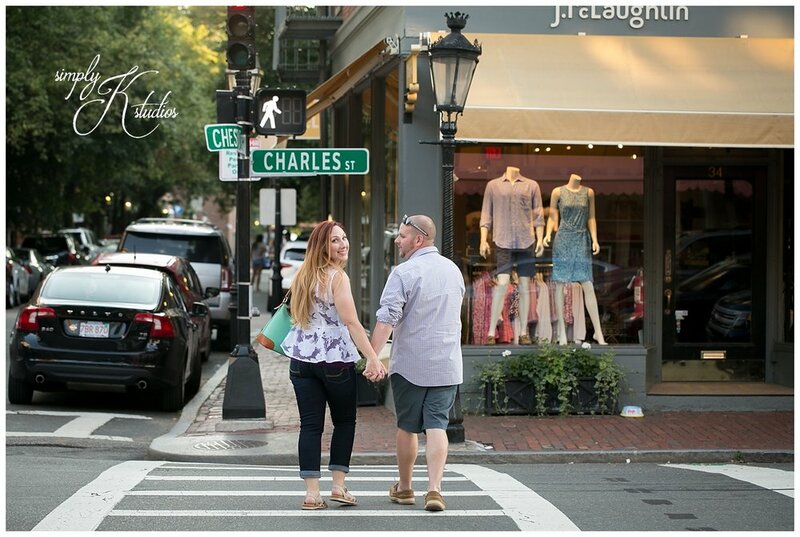 Thank you for taking me to Boston - one of my favorite spots and there are endless opportunities for beautiful photographs. XOXO! Late spring to early summer is always one of my favorite seasons of the year. School is letting out (former teacher here, hahaha), everything is in bloom, and the weather is just about perfect! 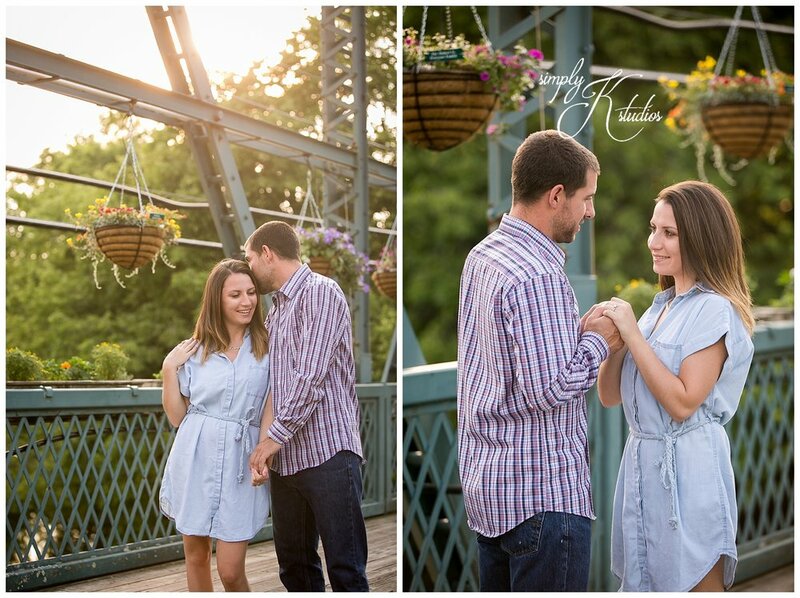 I met Kerry & Adam for their engagement session on Tuesday, and we hung out on the bridge for their photos. 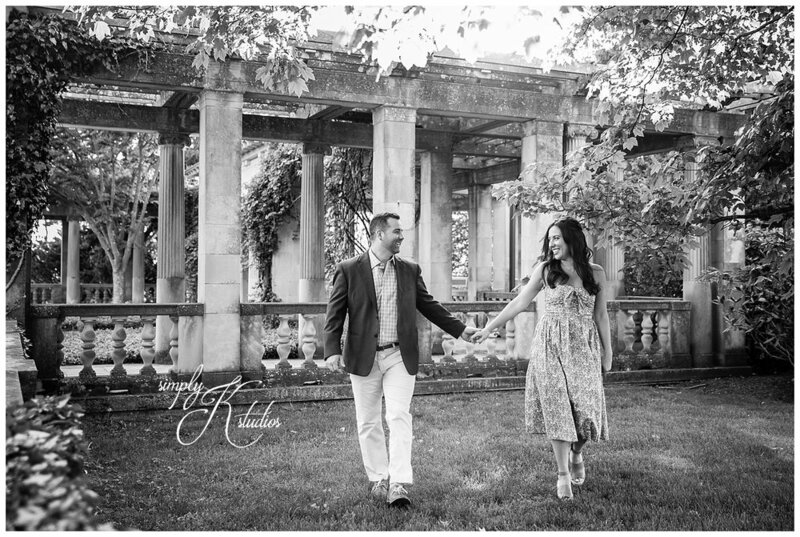 If you haven't been to the Drake Hill Flower Bridge, I suggest checking it out this summer then stopping in for a wine tasting at Rosedale Vineyards just down the road! 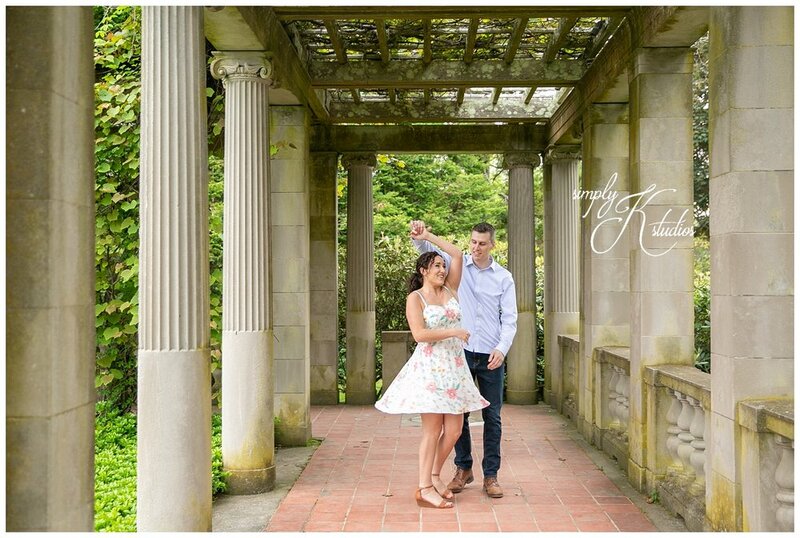 We've photographed here many times before for weddings at the Riverview in Simsbury as well as Simsbury Inn weddings, and it never disappoints. 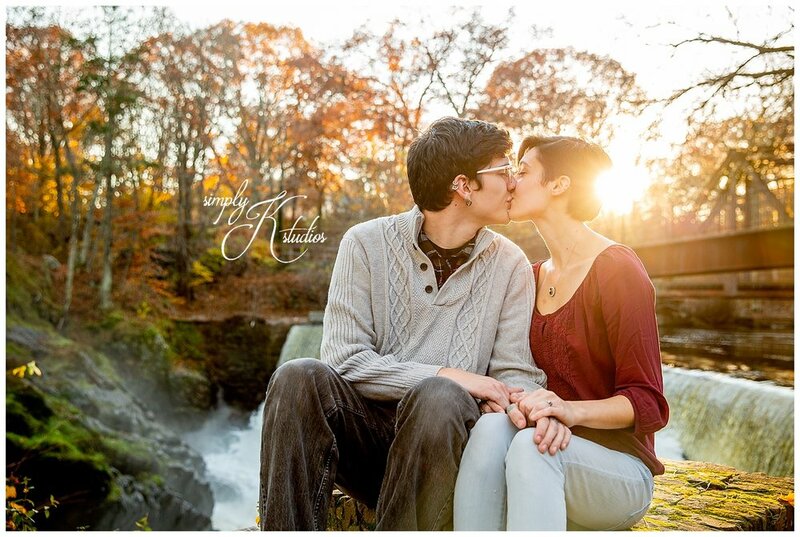 I'm so happy for these guys, and we're excited to photograph their upcoming wedding! 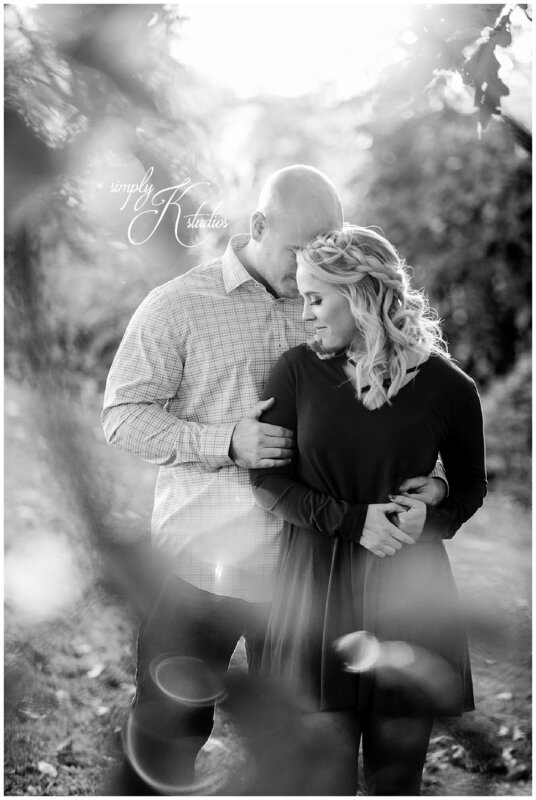 Should you do an engagement session? My answer is always...yes! 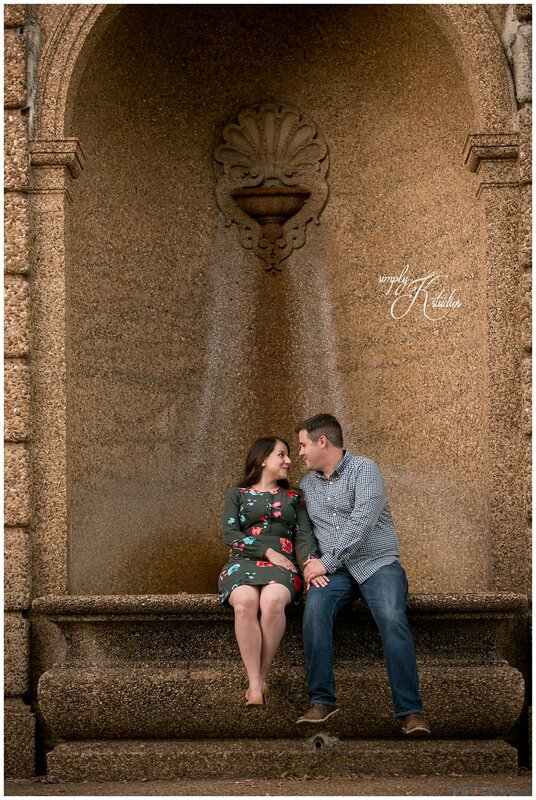 Engagement sessions are actually a lot of fun. 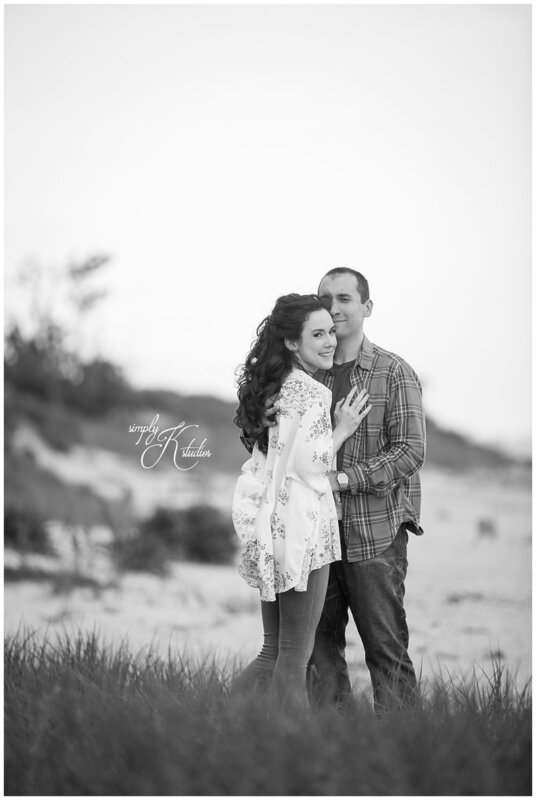 It's a great way for us to get to know our couples and see first hand how they are in front of the camera. 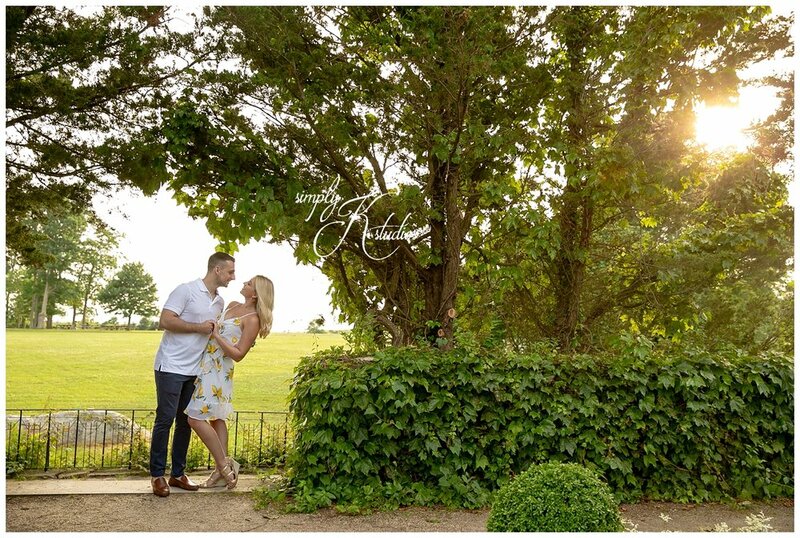 AND, they get to know us, so on the day of the wedding, our couples know that they can trust us and that is one less thing they have to worry about. Not to mention, this is such an amazing time in your life. Why not document it? 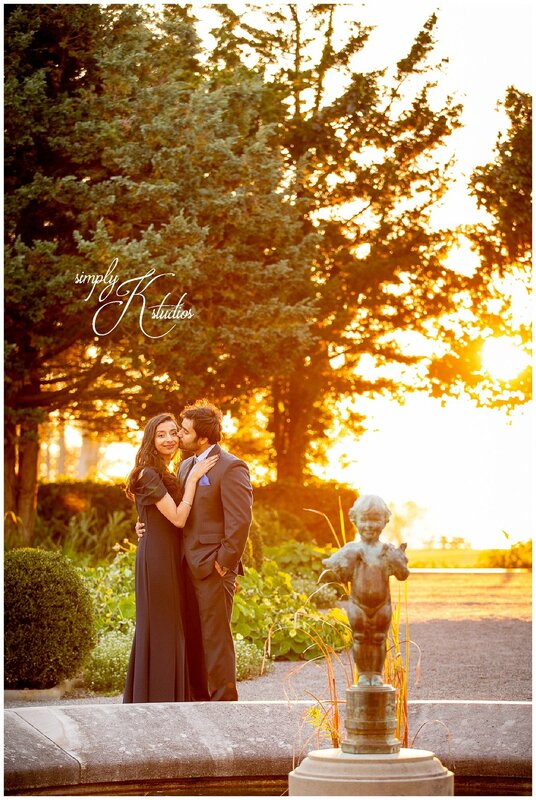 We can also help you find the perfect spot for you, the spot that best speaks to you as a couple. Ideas are endless. Saying I had a blast with Jillian and Michael is an understatement. 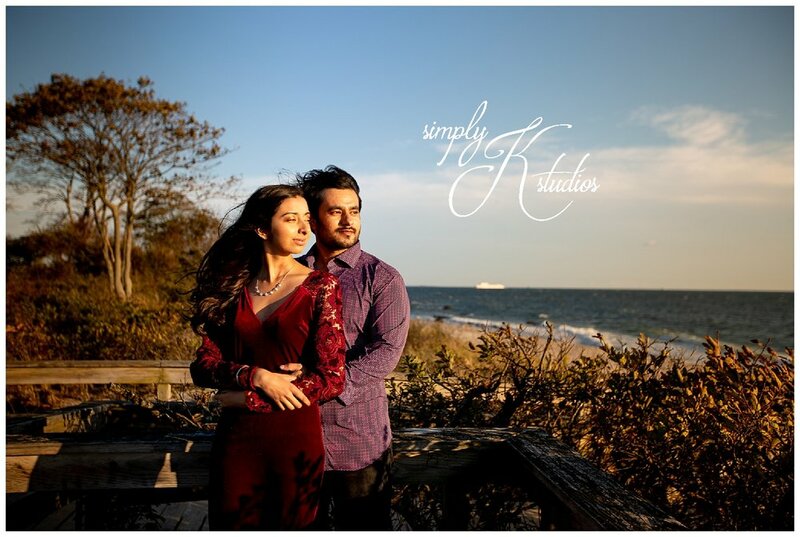 After our already awesome meeting in the studio, I was really looking forward to getting to know them better during their session. And I learned everything I needed to know about them. They are fun. They are happy. 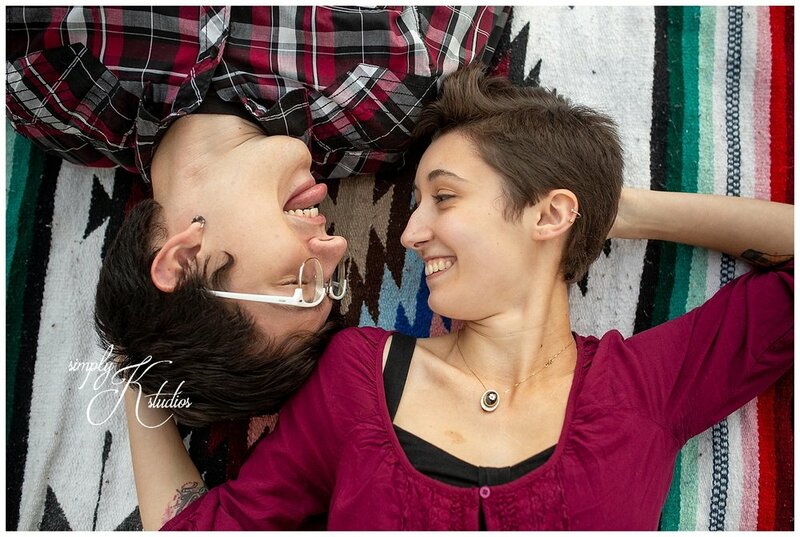 They are head-over-heals in love. 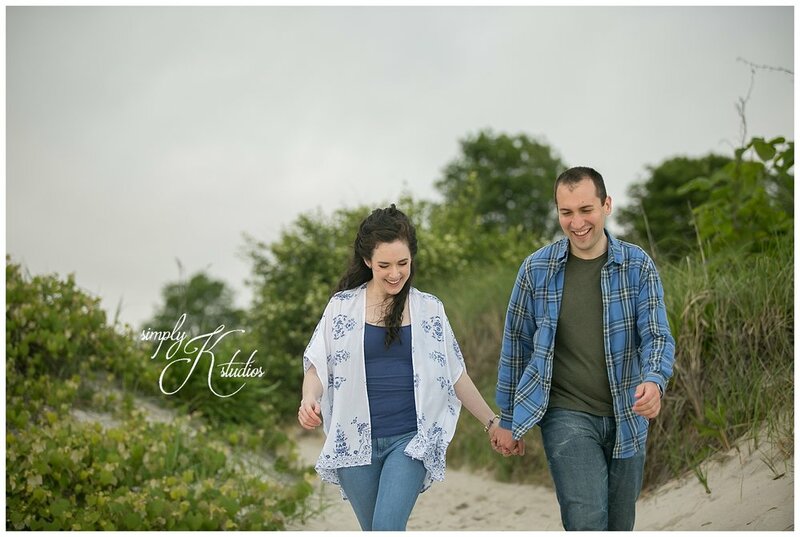 We spent the evening at Rocky Neck State Park, one of my favorite spots in CT to photograph. 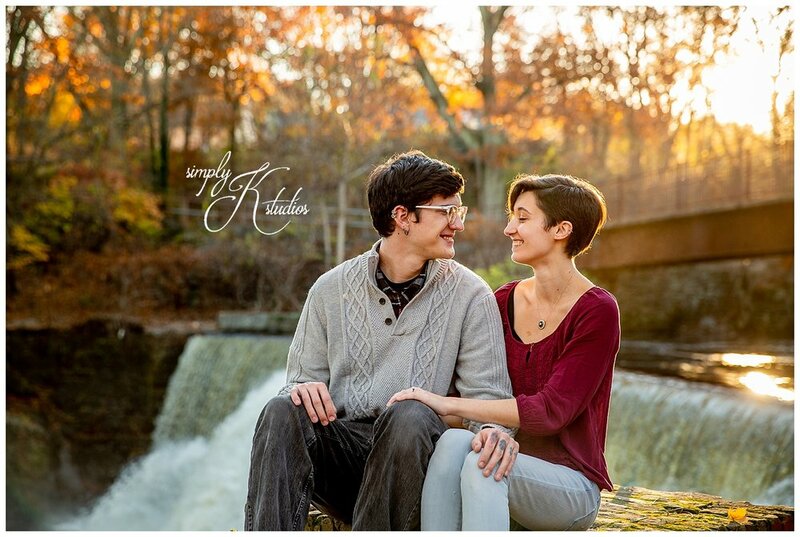 To Jillian and Michael, it was the perfect location. Since they are both from opposite sides of the sound, the ferry trips have been countless and the water is extremely important to them. 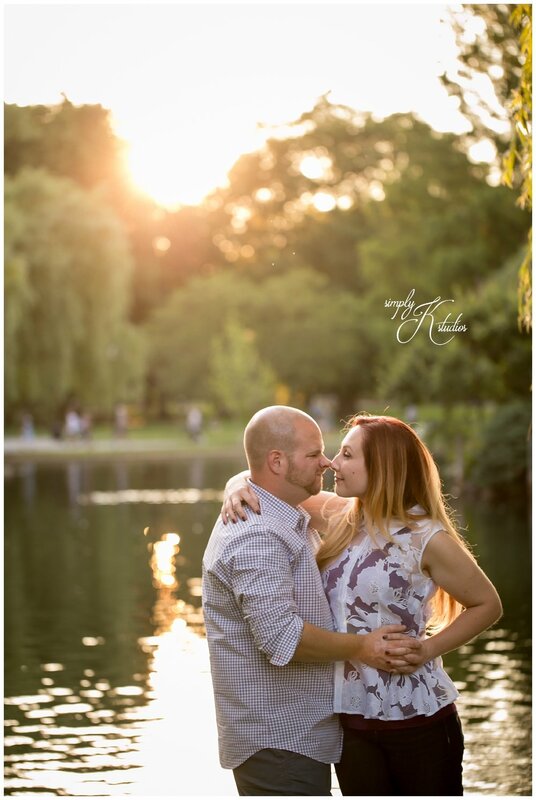 Although a bit chilly in the water, it was the perfect spring session. 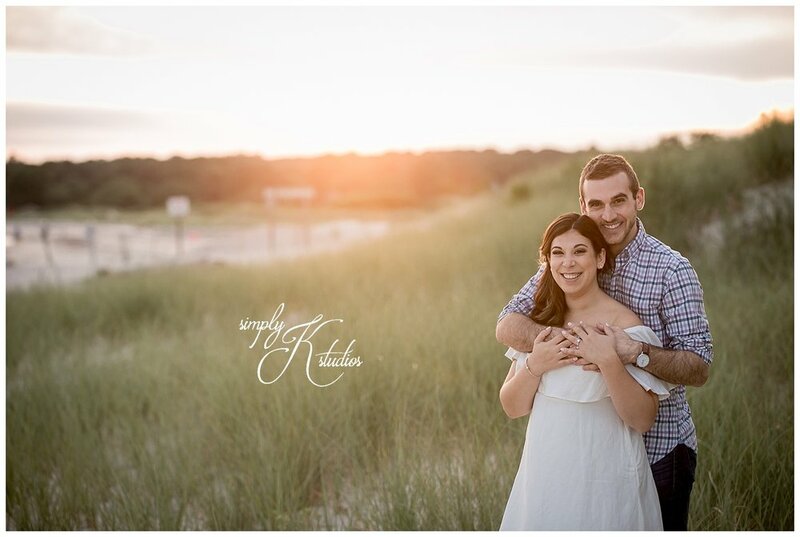 Jillian & Michael - Thank you such a great session. I can't wait for the next time. 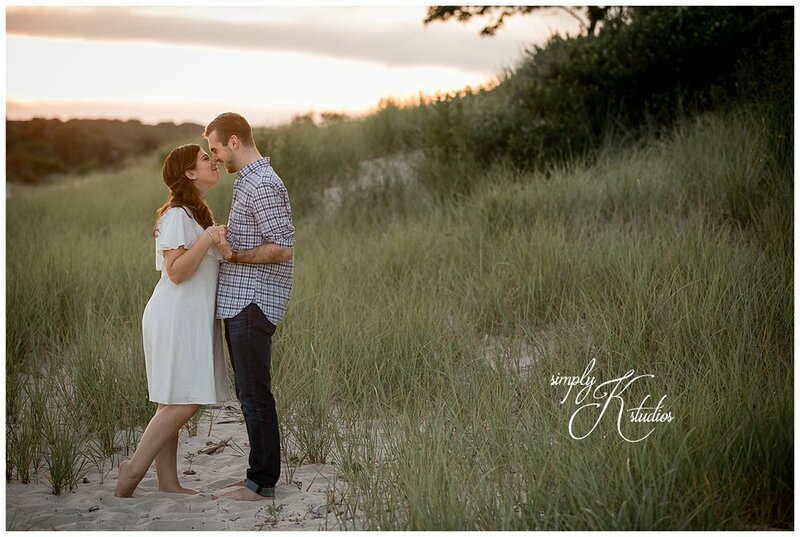 It was one of those absolutely gorgeous end-of-summer days on the beach in Ogunquit, Maine. 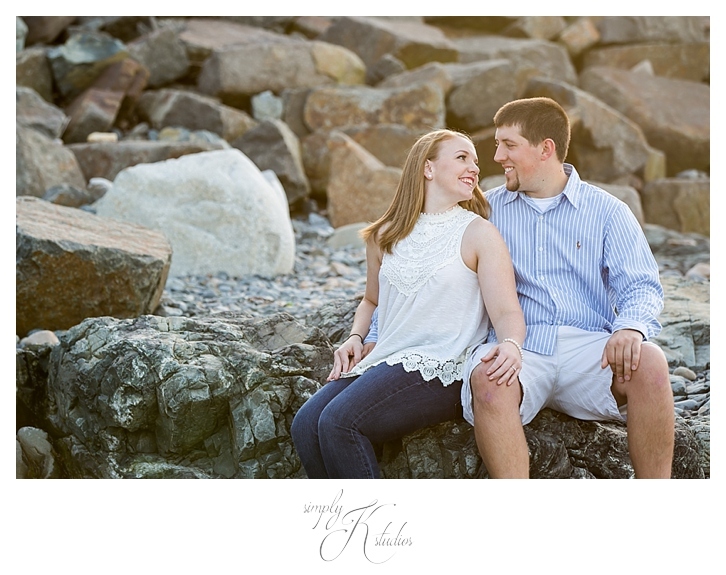 Sarah suggested Ogunquit for her session, as she loves it there and has visited many times. I hadn't been there since I was young and immediately got excited for the trip! Before the session, I spent the day walking the Marginal Way, walking with a cone of black raspberry chocolate chip frozen yogurt, exploring the beach, lunching at Cornerstone's with lobster mac & cheese and pineapple craft beer, and relaxing. 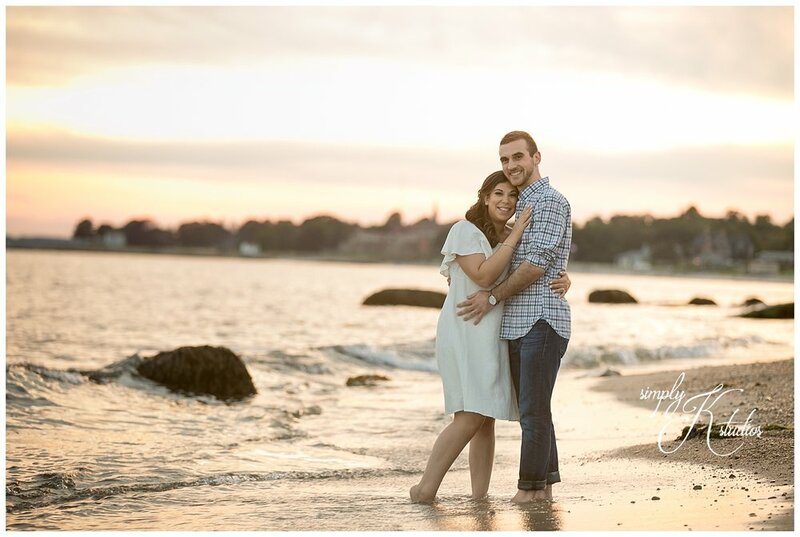 We met up with Sarah & Brian to explore along the beach once the tide went out, for the perfect backdrop for their session. 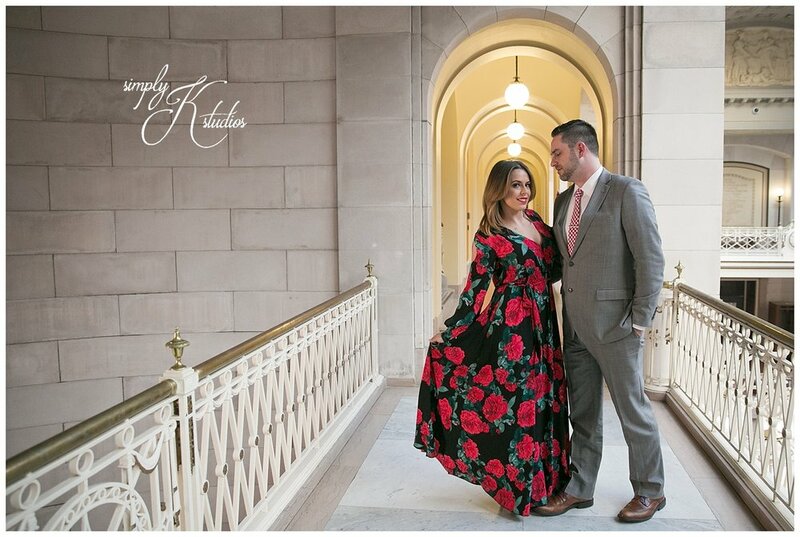 Special thanks to Pam from KiSSandMaKeUp for Sarah's makeup!